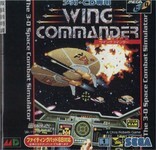 The 3DO port of Wing Commander III is known for being unique, featuring significantly altered mechanics to improve console play. In addition to adding video and re-designing every mission, the 3DO port also put quite a bit of effort into updating the in-world UI the player uses to do things like save the game and outfit his ship. 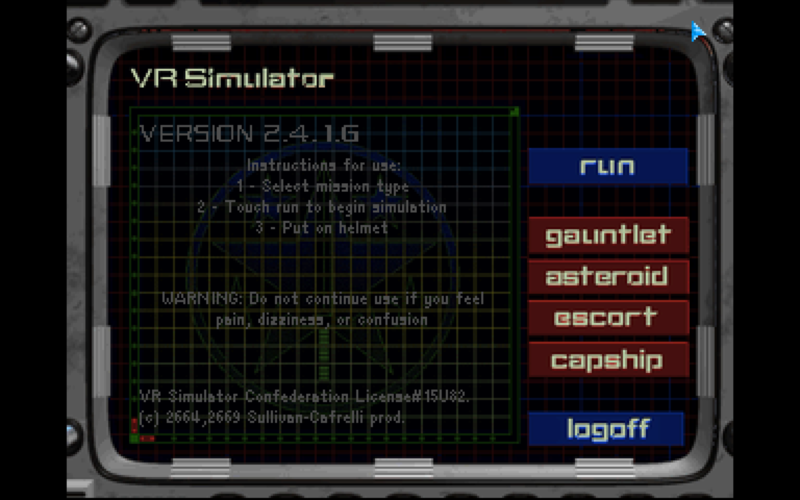 First, note the updated main menu. The game actually includes three of them, one for each base you can land on. The names and registries for the Kilrah 2 and Kilrah 3 asteroid depots originate here! 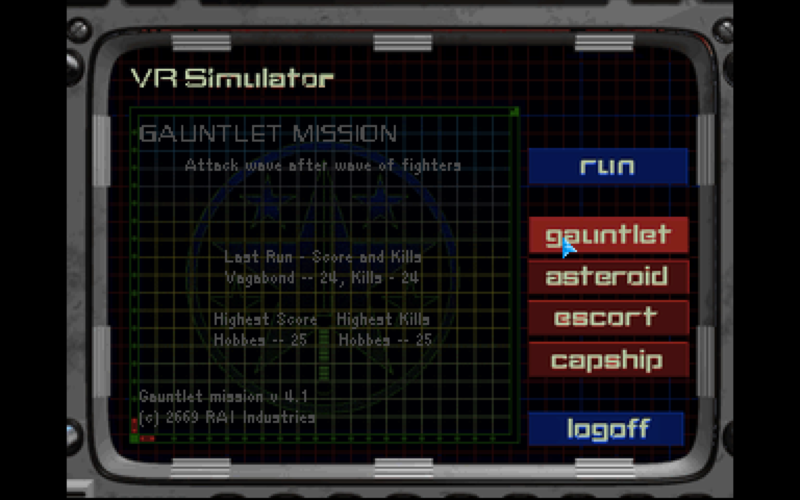 The ‘weapon selection’ screens are also redone, complete with missile stats and additional lore! 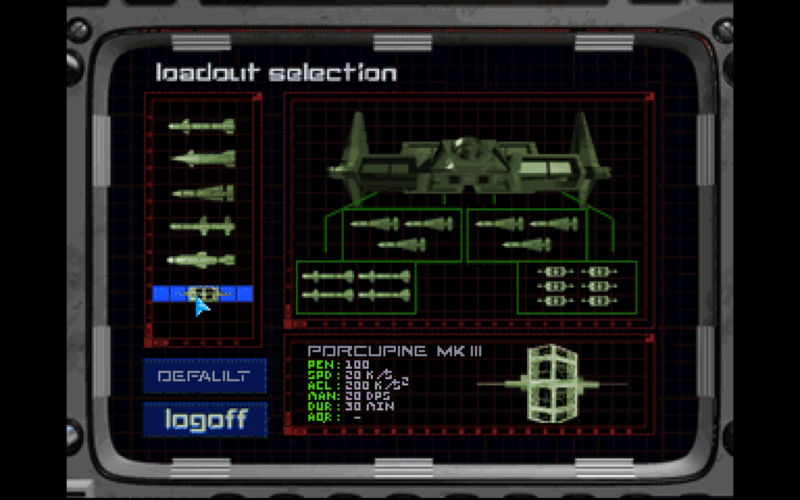 Did you know the mines used on the Victory were “Porcupine Mk. 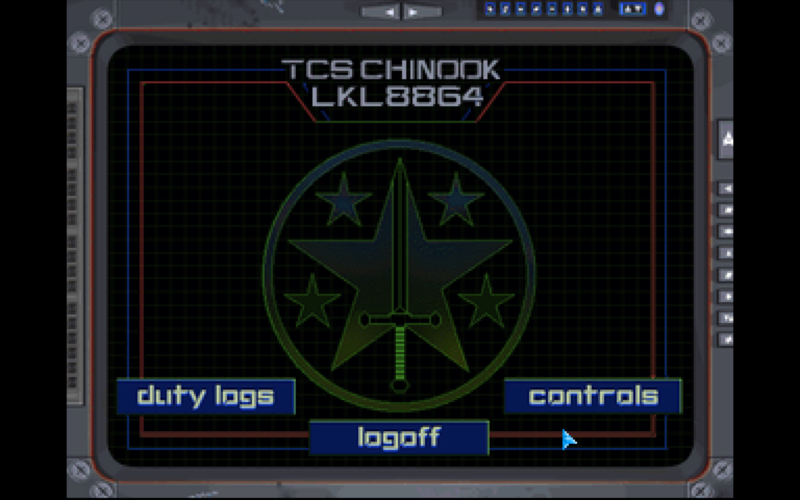 IIIs (a nod to the original Wing Commander) or that the torpedoes were Lances? 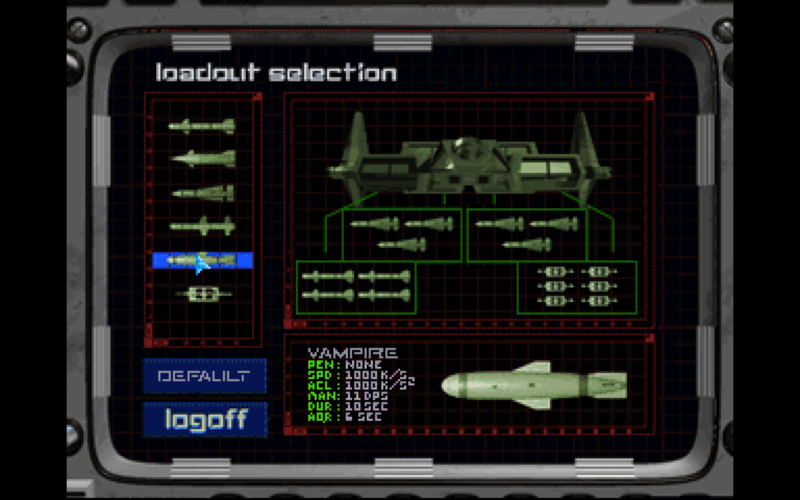 Note also the option to load a Vampire missile, the replacement for the Leech. 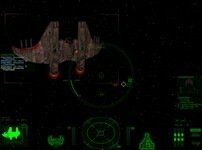 Vampires open holes in enemy shields instead of disabling general ship systems. 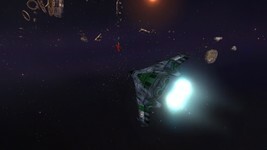 Vampire missiles were introduced in this port and not seen again until Wing Commander Arena in 2007. 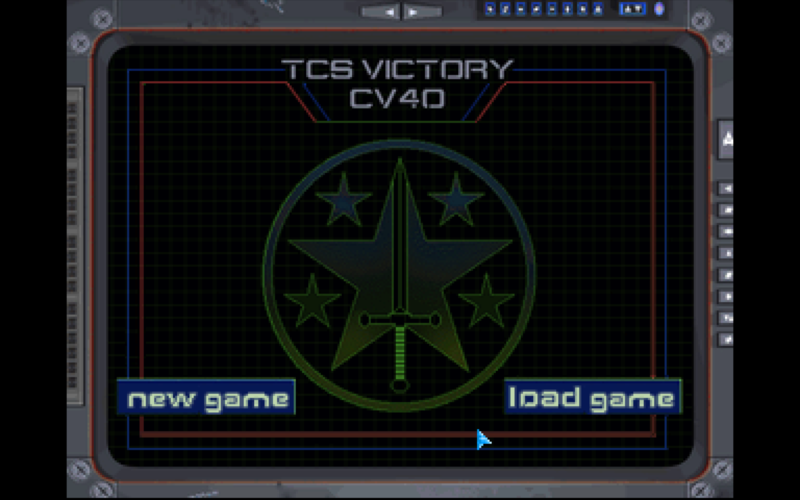 Finally, major props to the UI designer for a revamp of the Victory’s trainsim menus. They’re sprinkled with lore, including who last played the gauntlet and what fictional software companies built each VR mission! 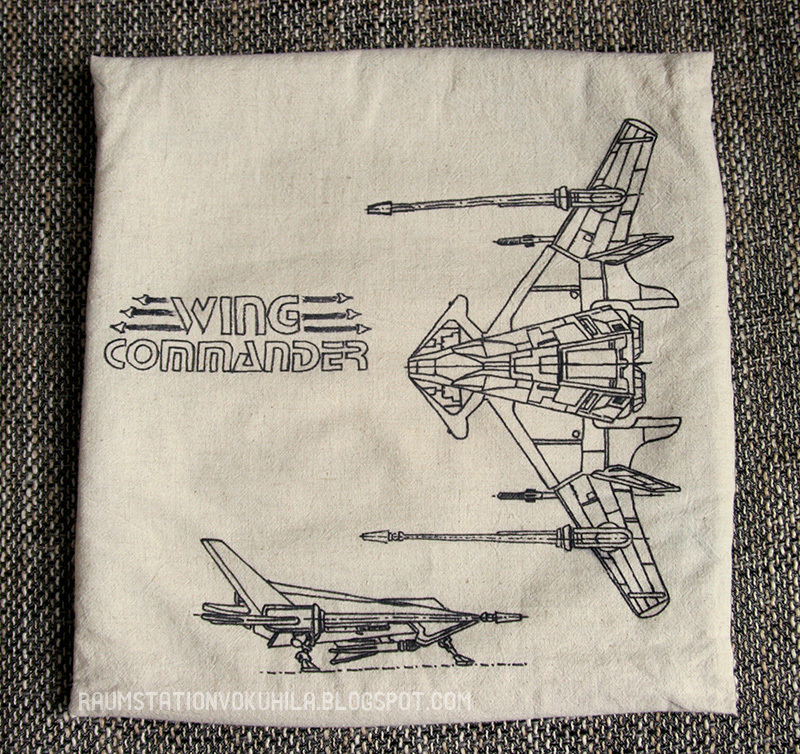 The Wing Commander Combat Information Center would like to officially congratulate Michael Winterbauer on the success of his Classic Game Covers Kickstarter! 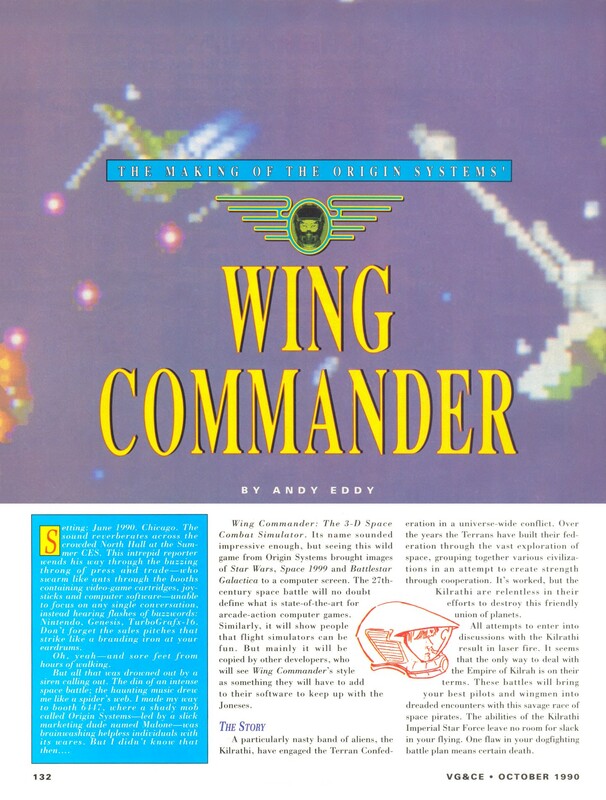 As reported, the printed book will include his Wing Commander SNES cover painting and some background on the process through which it was created. 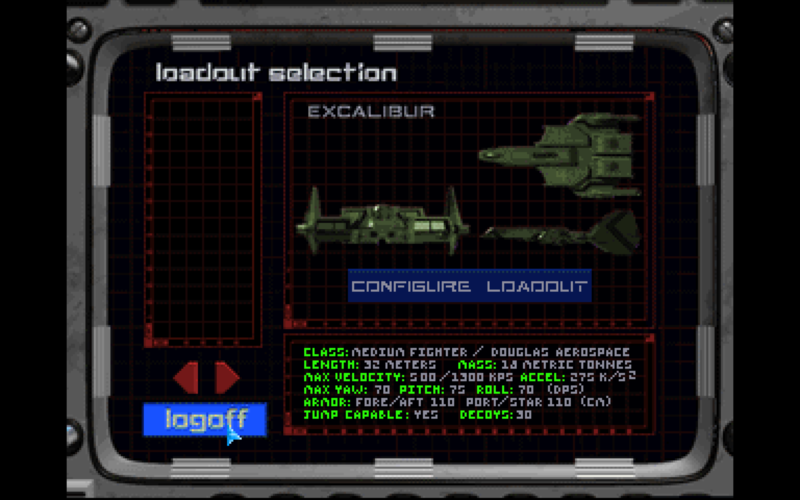 Roughly 20% of the pledges went to levels that offered Wing Commander-specific extras, so we can be proud of helping as a community! I have received press proofs for the book, Classic Cover Collection, Wing Commander Package and Classic Large Prints Collection. Everything looks fantastic and is ready to print more. 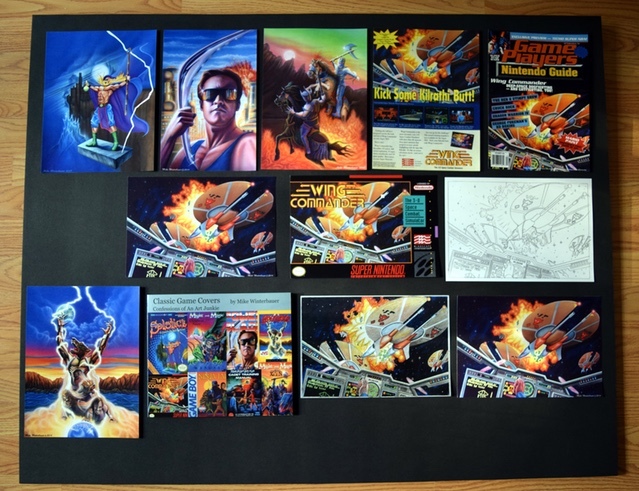 As soon as I receive my funding I will order the print run of Classic Game Covers, which should be very soon! I will be sending out the surveys next week so be sure to fill out so I can start sending rewards. 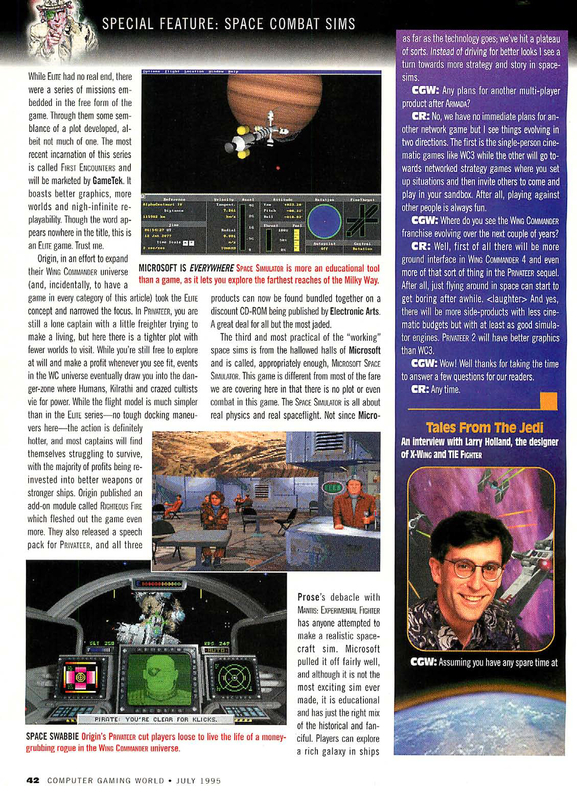 FredDude32 happened across an interview with Wing Commander creator Chris Roberts in the July 1995 issue of Computer Gaming World! 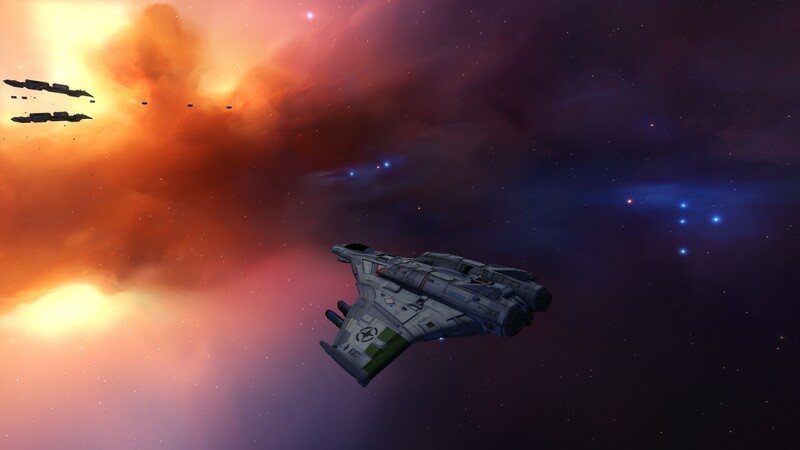 In an overall review of space games, they sat down with Chris to talk about the future of Wing Commander... back when things seemed so bright for the series! 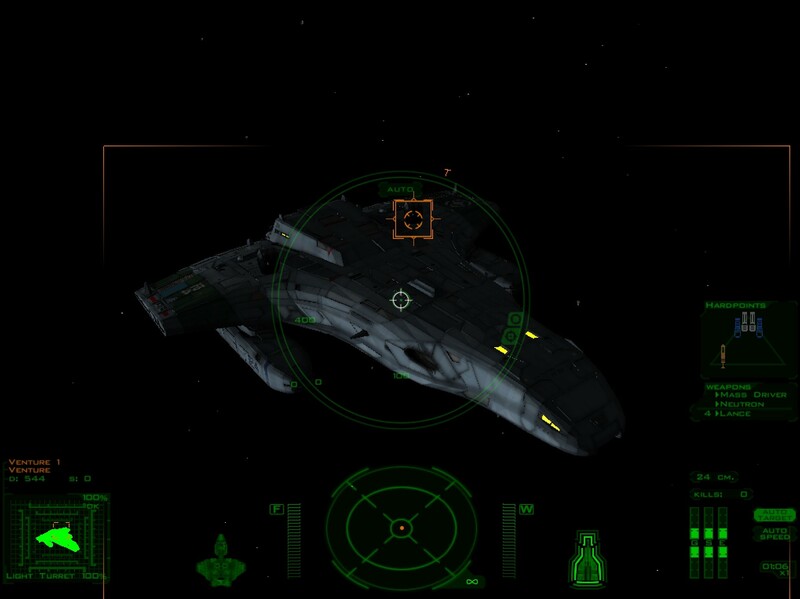 A new screenshot from the long-lost SNES port of Wing Commander 2 has been discovered! 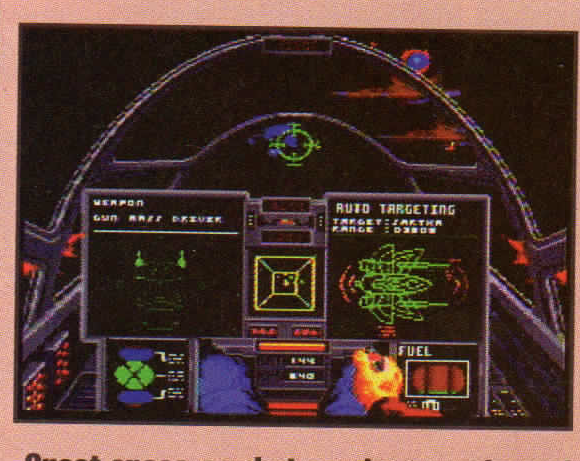 Like previous discoveries, this screenshot appeared in 1995 gaming magazine... but it is not attached to a review of the game. 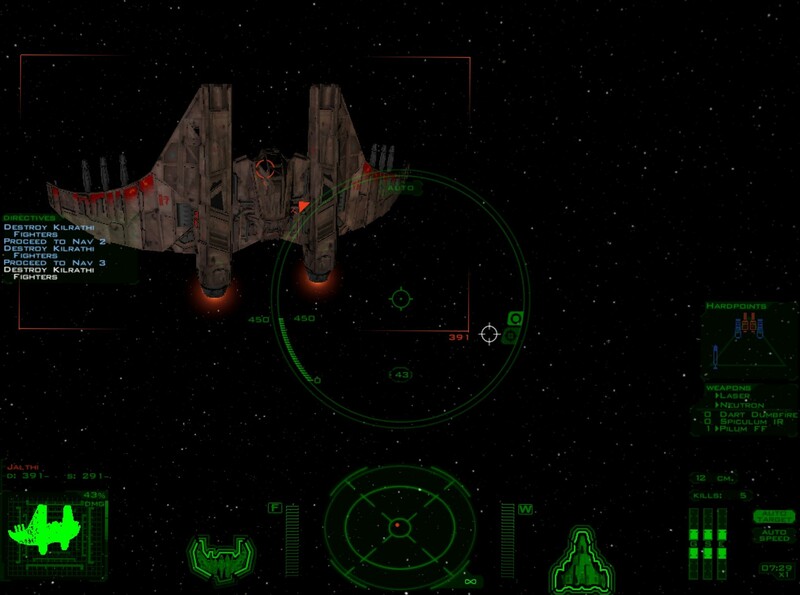 Wing Commander 2 was completed by a team at Origin Systems and then shipped to FCI for duplication. Unfortunately, the decision was made not to release the already-finished game, owing to the expense of larger-than-average cartridge needed to store the game and the fact that it was coming towards the end of the console's life cycle (Q4 1994 SNES sales were far lower than projected, owing to the rise of 32-bit consoles.) As you can see, this screenshot is absolutely enticing for fans of different takes on Wing Commander games: it's the previously seen two-VDU'd Ferret with a completely redrawn Sartha target VDU. 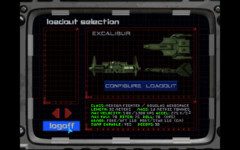 If you have any knowledge of the game's location (or a connection to FCI) please write in immediately! 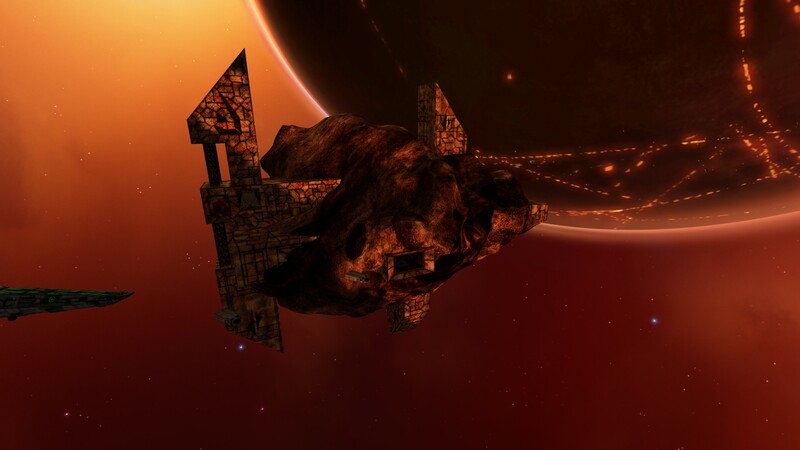 Earlier this year, we reported that the band Die Krupps has re-released the song they composed for the Wing Commander Prophecy OST, updated for a more recent album. 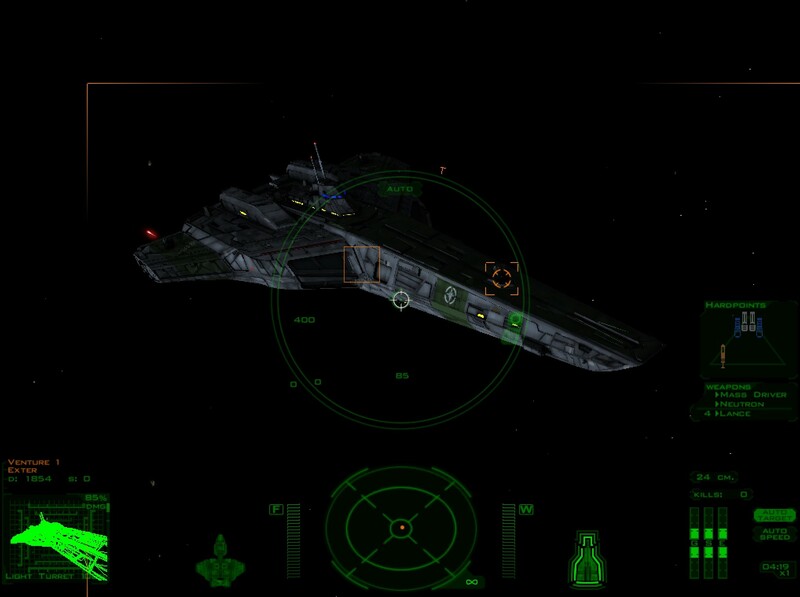 This song, The Vampire Strikes Back, is one of three on the album that were 'inspired by' Wing Commander. What about the other two? We decided to do some more research! Today, we'll report on the The Awakening, the track provided by German electronic group Das Ich. 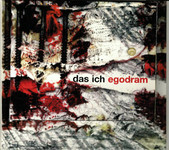 The initial review of Das Ich's discography suggested the song was never re-used, "The Awakening" does not appear on any other albums or compilations. In fact, all of their other music is German, while the song on the Prophecy soundtrack is in English. 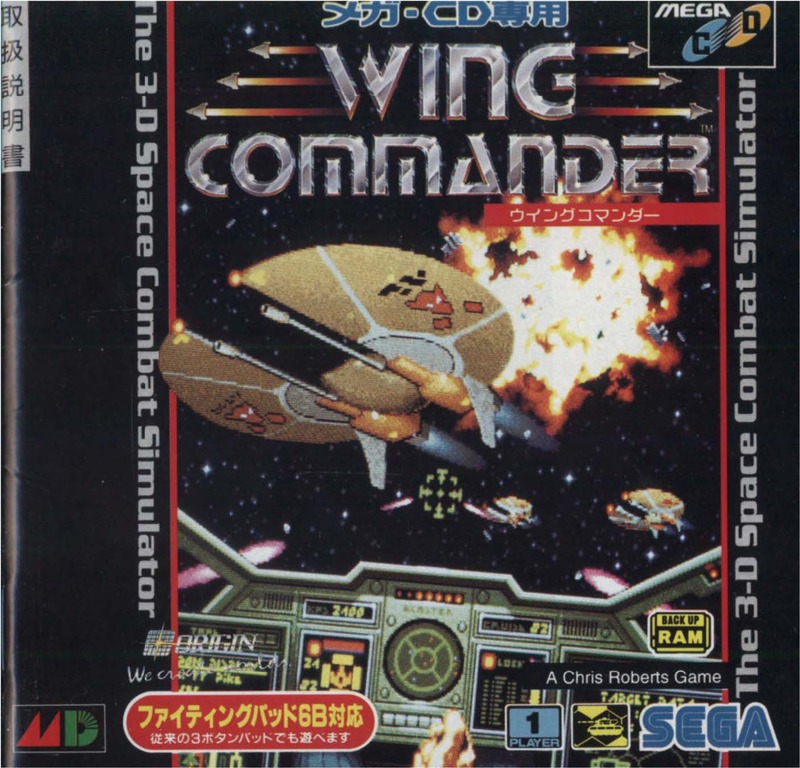 Note that the German version has different lyrics and was not 'inspired by' Wing Commander, so this is more of an interesting connection than something you should include in your Wing Commander album collection! 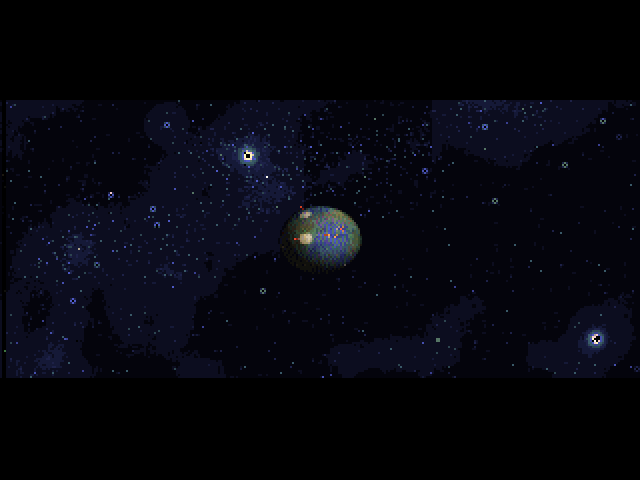 Tune in next update, where we'll talk about the final original track: Gravitation Zero by Project Pitchfork. 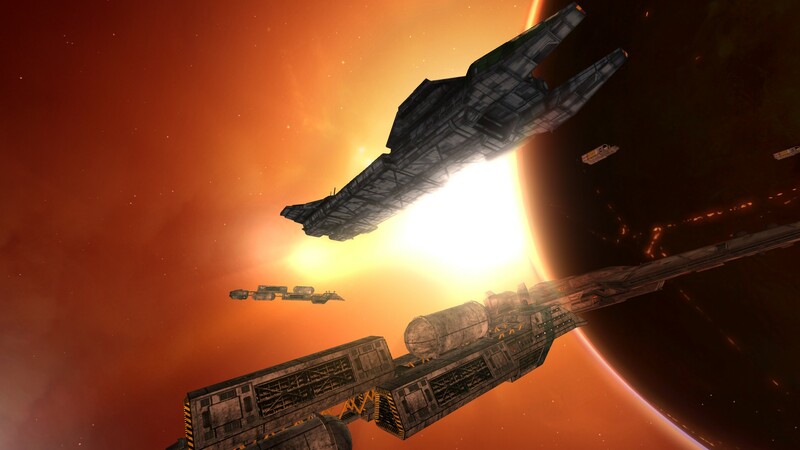 Following our gallery of Wing Commander II backgrounds, here is a smaller selection of backgrounds from the original game. 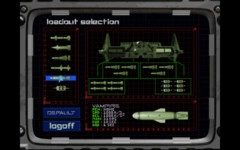 There weren't as many places to go on the Tiger's Claw, but it's interesting to note they didn't 'double up' on similar places--the Hangar Deck and the debriefing area have separate backgrounds. Last year, I was lucky enough to take part in a 25th Anniversary livestream of Wing Commander II: Vengeance of the Kilrathi. Unfortunately, if you missed the live showing it has not been available... until now! 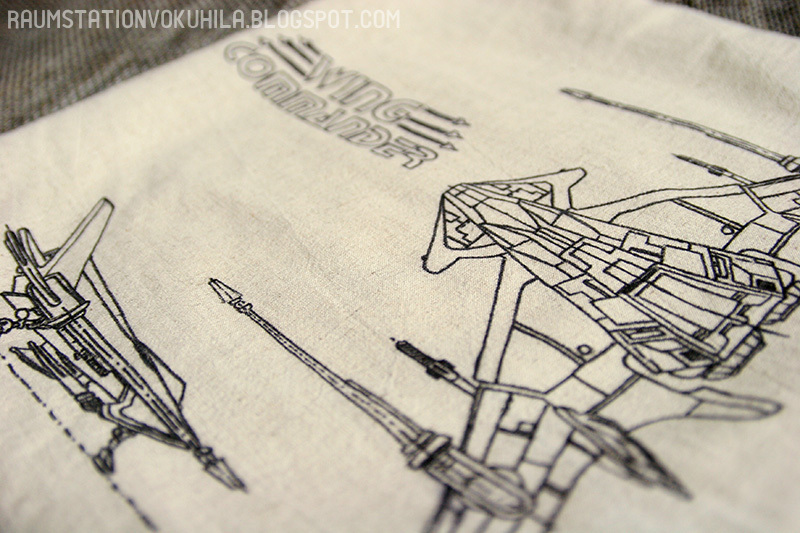 We've put a copy online for Wing Commander fans who missed out on the event. It's a little over 11 hours long, and if you're brave enough you can start watching below. 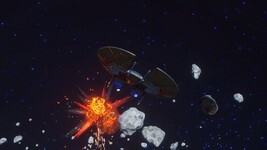 If the playlist does not continue, you can view it here. 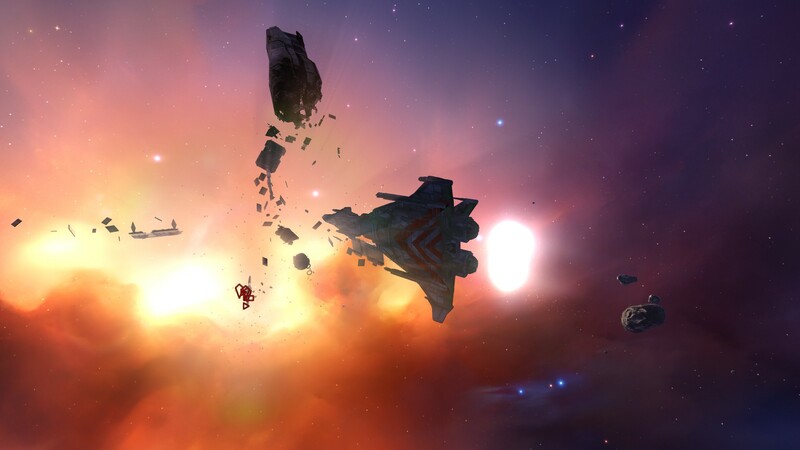 But whatever the relative disappointments, Times of Lore at least wasn't a flop, and Chris Roberts stayed around as a valued member of the little Origin family. Part of the reason the Origin people wanted to keep him around was simply because they liked him so much. He nursed the same passions for fantasy and science fiction as most of them, with just enough of a skew provided by his British upbringing to make him interesting. And he positively radiated energy and enthusiasm. He's never hard to find in Origin group shots of the time. His face stands out like that of a nerdy cherub — he had never lost his facial baby fat, making him look pudgier in pictures than he was in real life — as he beams his thousand-kilowatt smile at all and sundry. Still, it was hardly his personality alone that made him such a valued colleague; the folks at Origin also came to have a healthy respect for his abilities. 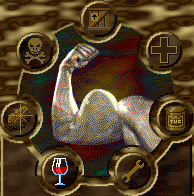 Indeed, and as we've already seen in an earlier article, the interface of Times of Lore had a huge influence on that of no less vital an Origin game than Ultima VI. The Confederation Handbook tells us that in 2219, the first in a series of Great Pandemics strikes. 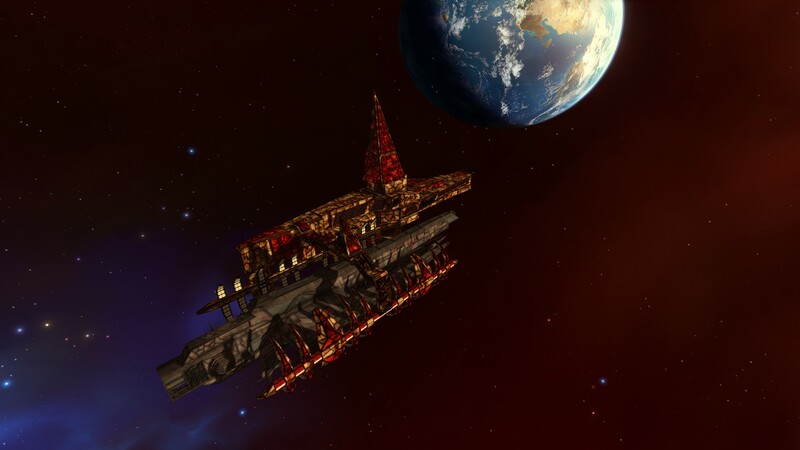 The disease completely destroys Luna Station and results in a 204-year quarantine of Earth itself. Isolated from the expanding solar system, Earth was ravaged by disease and famine, both of which were compounded by a crippled biosphere and a shortage of fossil fuels. Traditional farming became impossible, with the only source of food for the population being self-contained hydroponics stations. The planet became increasingly reliant on the goodwill of the Outer Planets to provide the fuel and material resources needed for these stations, trading cultural resources for unmanned supply drops. Doomsday screamed with impotent rage as he saw the heavy antimatter rockets streak away. 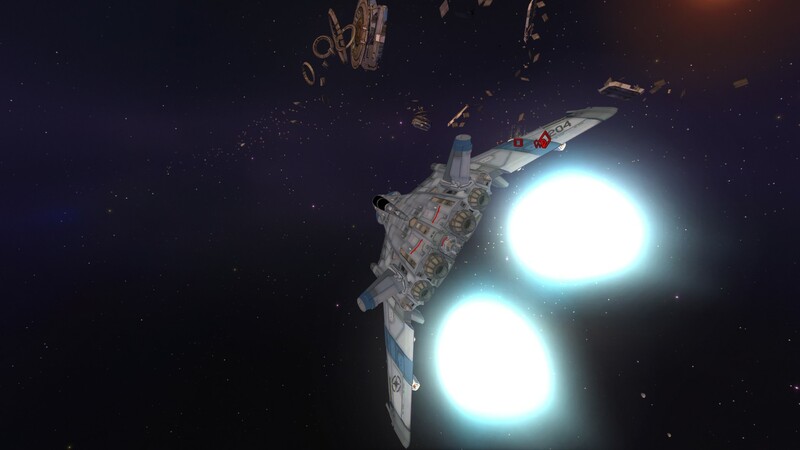 A light screen of enemy fighters, launched from the cruisers, moved to intercept, and with a wild frenzy Doomsday slashed into them, killing them with a mad insane glee, while behind him, four modified Sabres lined up for the first torpedo launch. 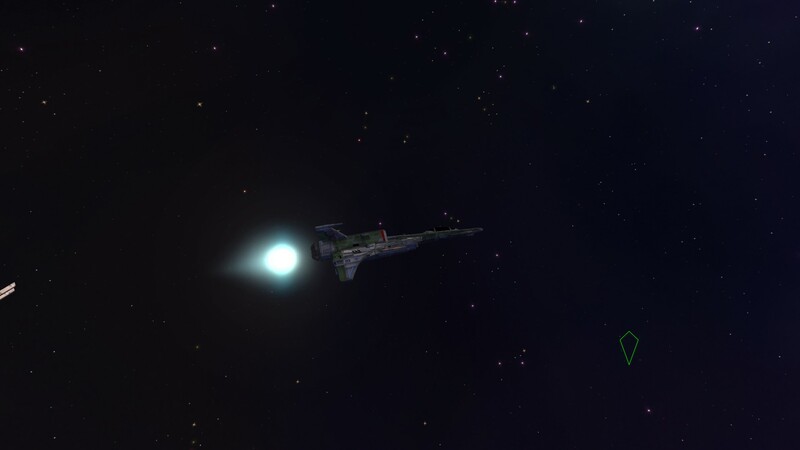 The torpedoes leaped out, tracking in on the first cruiser, and seconds later detonated. Kruger's fighters swarmed in, slamming the cruiser, which appeared for a second to collapse in on itself before bursting asunder. 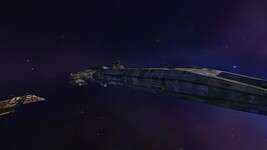 The comm link was filled with mad screams of hatred and rage as the strike team turned towards the other cruiser. 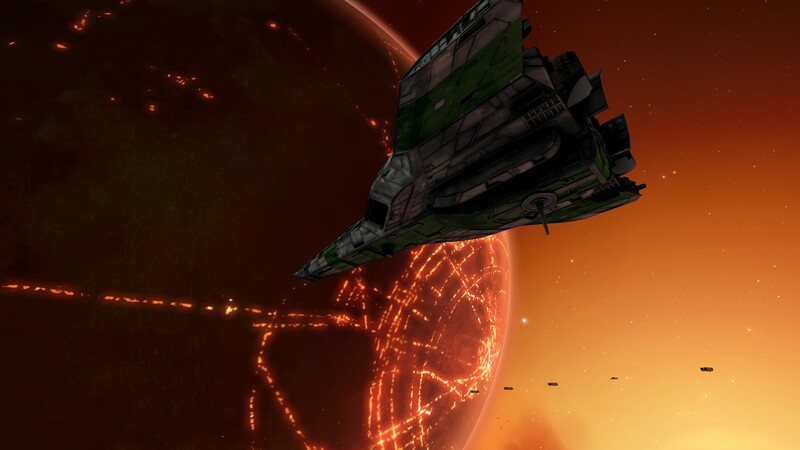 Down in the Earth's atmosphere Doomsday could see pinpoint winks of light as point defense systems fought to knock down the incoming wave of more than a hundred missiles. And then there was a flash of light over the center of the North American continent. It looked like Chicago going up, followed seconds later by a dozen more: Pittsburg, Boston, Miami, Quebec, then across in Northern Europe: Amsterdam, Berlin, Stockholm, Constantinople and Paris. 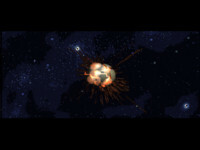 Other flashes detonated over the primary control centers for Earth's American and European space defenses at Omaha, Rio, Tripoli, and Kiev. 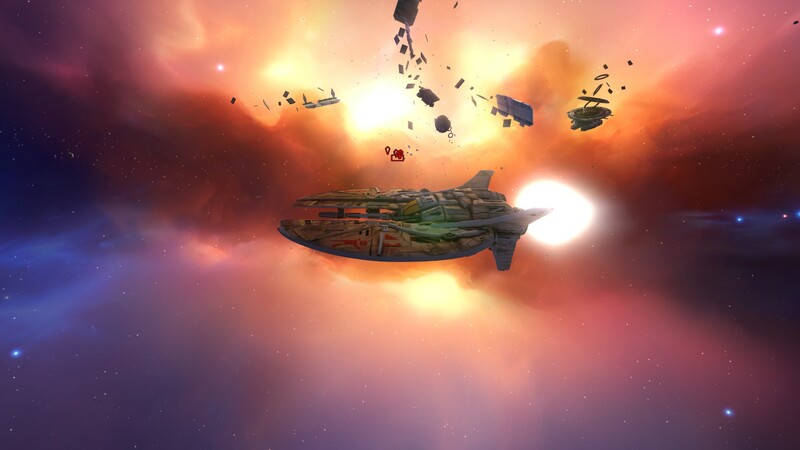 If you can conquer an entire 11-sector Campaign in Wing Commander Armada then you are rewarded with a blink-and-you-miss-it cutscene of the enemy homeworld… well, exploding. It’s not specified exactly how the Kilrathi blow up the Earth as the result of a victorious Armada round (or vice versa, with humans and Kilrah) but it is likely one of the series’ most unseen cutscenes! If you can’t hack it in Wing Commander III: Heart of the Tiger, you find yourself in an impossible situation defending Proxima and then Earth itself from a massed Kilrathi invasion. And bad news for any Captain Kirks out there: it’s a no-win scenario. The game will continue throwing wave after wave of enemy planes after you until you either eject or die. 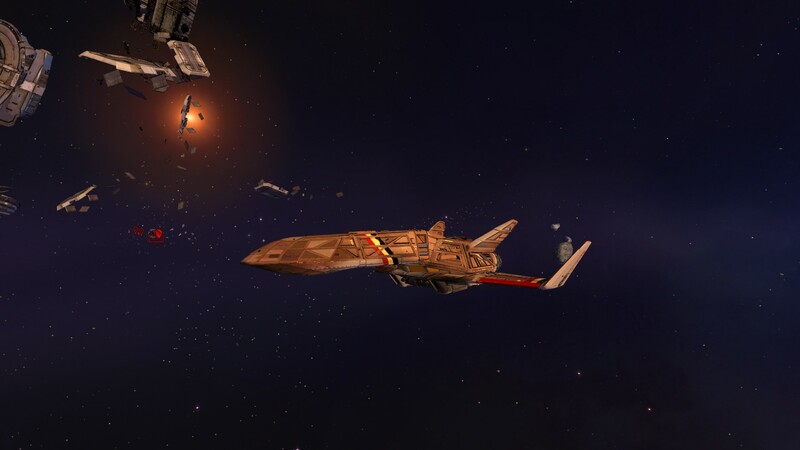 And you are then treated to one of the coolest losing sequences in history, in which the Kilrathi destroy Washington DC and render Earth an apocalyptic hellscape! 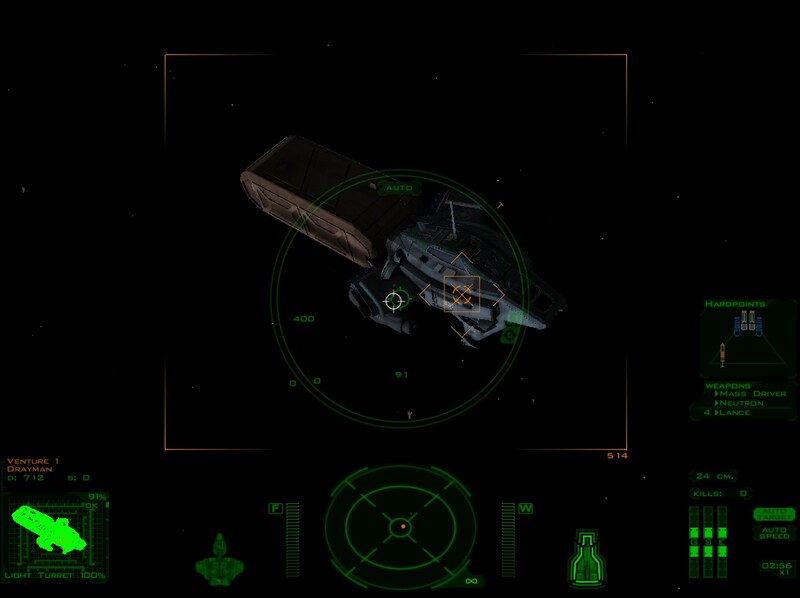 Earlier in the week, we collected all of the 'uncut' Wing Commander II 'sets.' Today we're following up that selection with the new rooms created for the Special Operations addon disks. 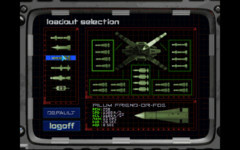 A key consideration in that era of development was disk space; the mission disks could budget only a small amount of space to add new art content. 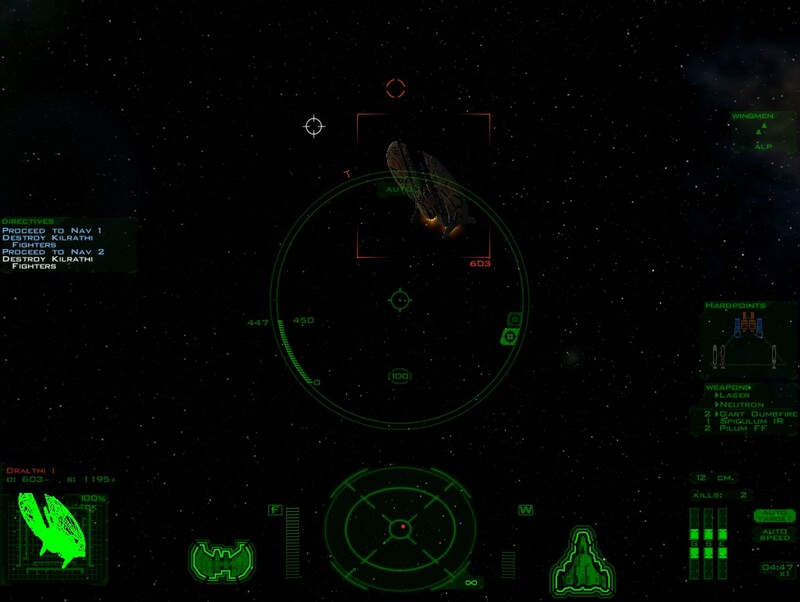 As a result, each game added one cinematic ship view (the Crossbow and Morningstar, respectively) and one new location. 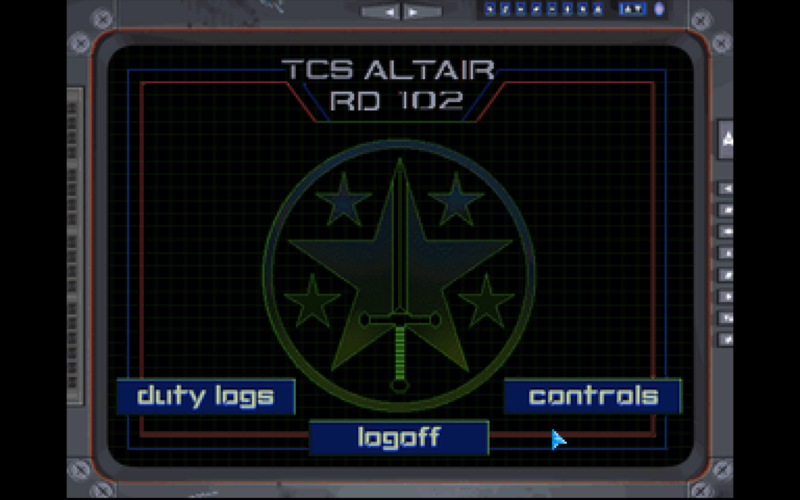 That's the Gettysburg's brig in Special Operations 1 and the courtroom for Jazz's trial for Special Operations 2. 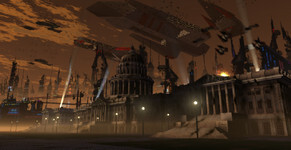 Note that Tolwyn's shadow is part of the artwork, making for a somewhat creepy scene once he is removed! 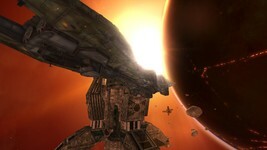 Brilliance is probably the Wing Commander universe's signature drugs. 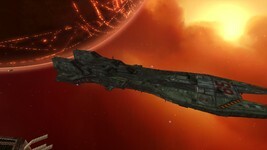 Introduced in Privateer as a commodity available only at pirate bases, Brilliance is frequently namechecked as 'the' narcotic of the 29th century. 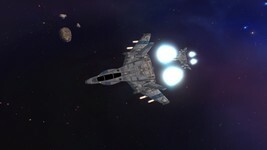 Unit cost averages about 200 credits each. 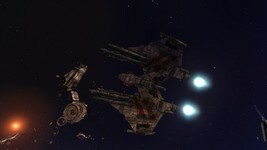 Most famously, Privateer features three missions in which the player is asked to run Brilliance from Oakham pirate base for Tayla; if you refuse, the game is over and you can never earn the Steltek gun. As hard as it is to imagine today, this upset a number of fans in 1993 who were not happy to be made to play a 'drug smuggler!' 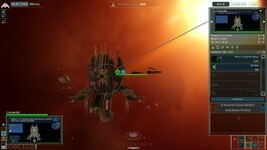 To address the feedback, Origin left a second set of Brilliance runs in Righteous Fire as optional missions. 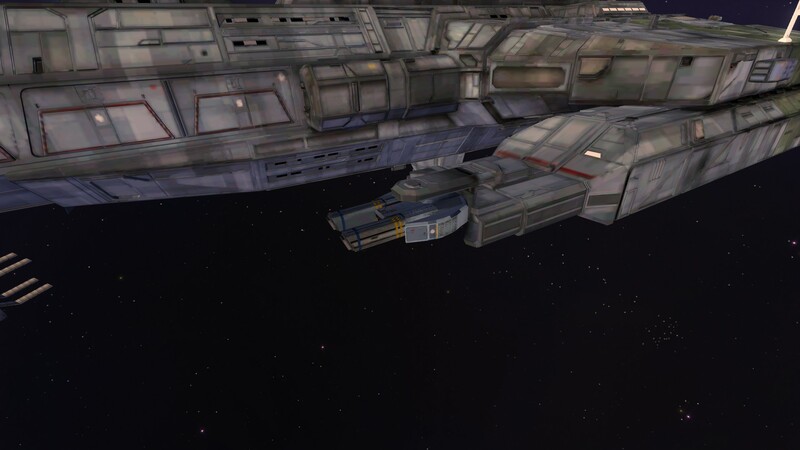 Ultimate is Brilliance's much harder cousin (and likely named after Wing Commander's famous sister series of CRPGs.) 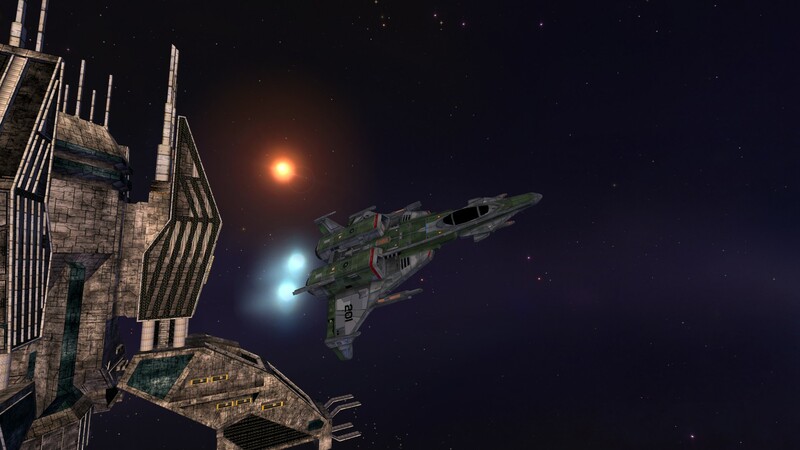 Like Brilliance, Ultimate is available only at pirate bases... but at a much higher cost, averaging around 1,000 credits per unit. 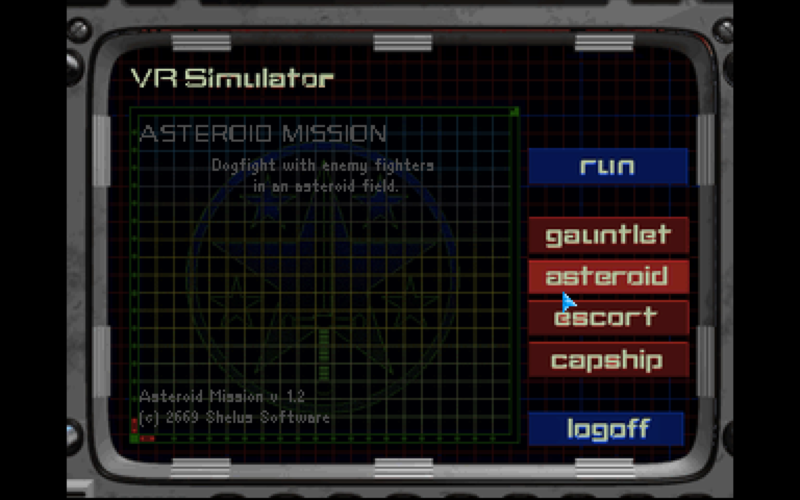 It does not appear in any of the scripted missions. 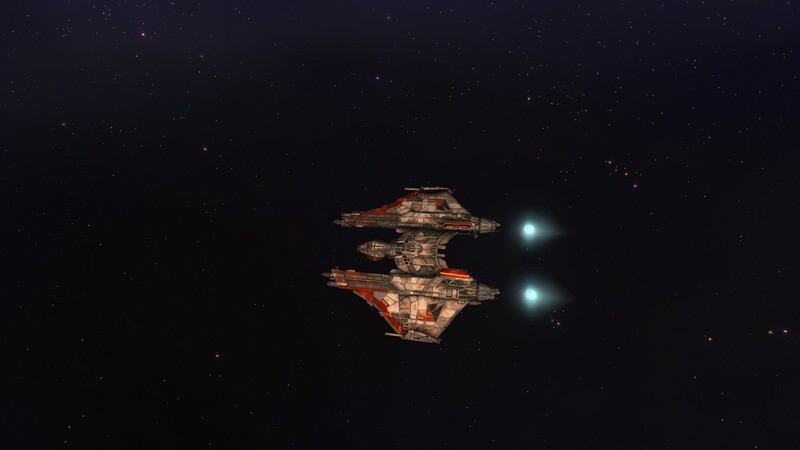 Militia and Confederation patrols that scan Ultimate aboard your ship will attack on sight. Welcome back to one of the oldest Wing Commander message board topics: smoking in WC is illegal?! 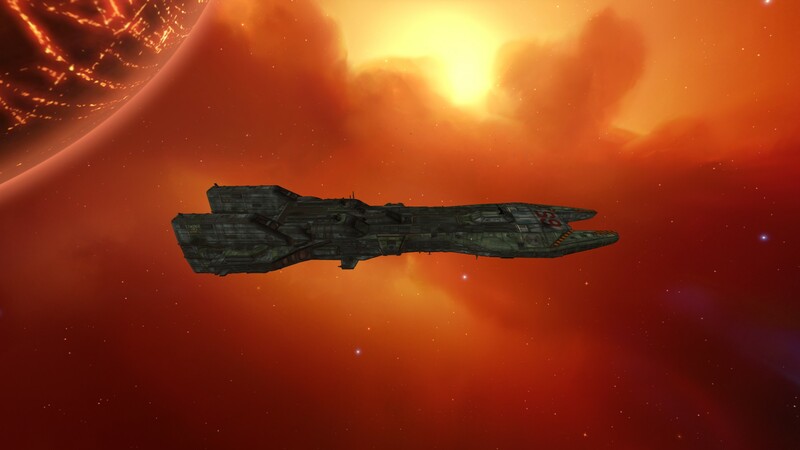 The answer is yes, tobacco is considered contraband in Privateer and Confederation Broadswords will happily sink your Orion for transporting it... but it's also claerly smoked in cigar form in mixed company by Hunter in both the original Wing Commander and various novels. Perhaps a case where only transporting it is considered a felony? Happy Death originates in Action Stations in an offhand remark by Senator Jamison More about how addiction is an epidemic that needs to be addressed in the pre-war Confederation. 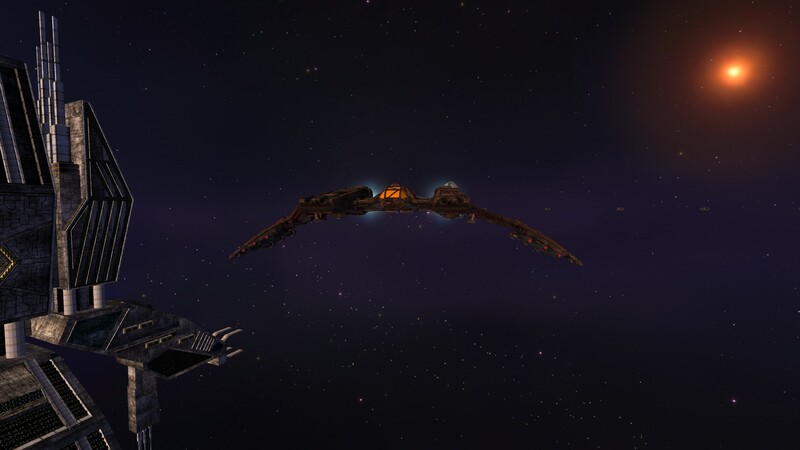 The Kilrathi enjoy a good trip, too! Arakh, introduced in the novel Freedom Flight, is said to be "like catnip" for the Kilrathi. Arakh leaves give a calming effect and are either chewed or infused in a drink. 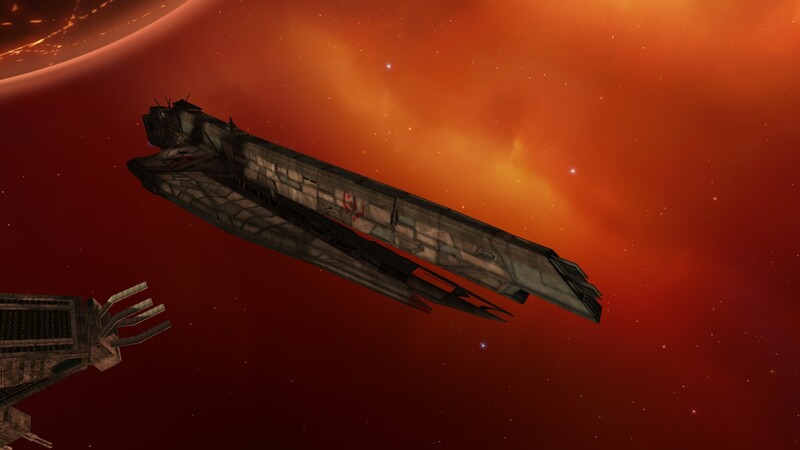 Kilrathi society does not outlaw the leaves--Ralgha even chews them on the bridge of his Fralthi--but it does seem to judge those who over-imbide and become intoxicated from them. Wing Commander has, from the start, been called an interactive movie... and the team building the games embraced that in many aspects of the production process. 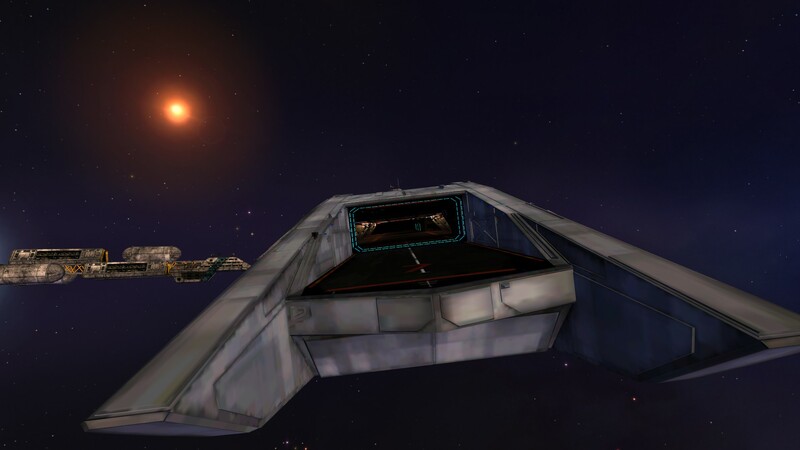 For example, all of the 'talking head' scenes in Wing Commander, Wing Commander II and Privateer were constructed just like film shots, with different camera angles and purpose-built 3D environments (or sets!) When playing the game, your eye tends to follow the characters rather than their environments... so this series aims to remove the talking heads and show you just how much detail there is in the background of the games! 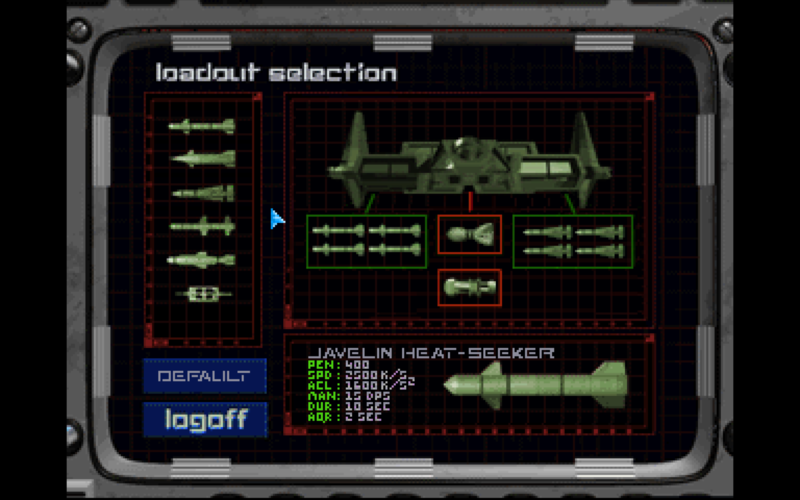 Sets in Wing Commander II have three levels of camera angles: an establishing shot (often a door), a wide (which the game calls medium) that shows the full bodies of the characters and then a close-up that would have the face of one particular character. 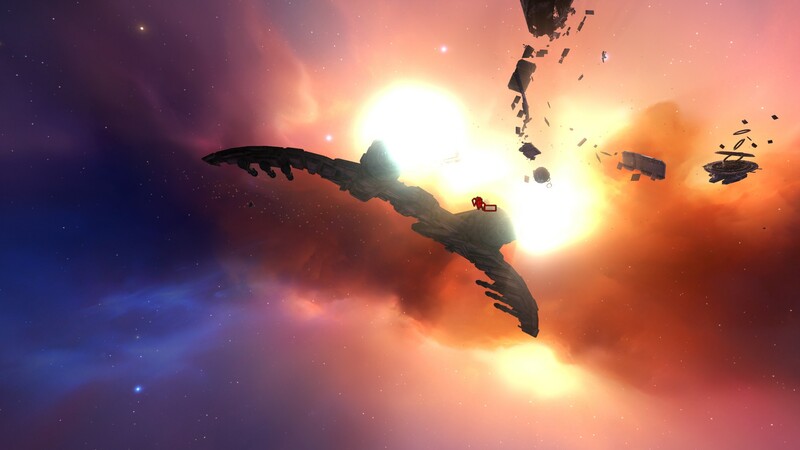 For this post, we've removed the heads so you can enjoy exploring the Concordia yourself! 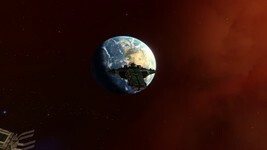 Tolwyn's Office, TCS Concordia: Also used as Tolwyn's office an Earth during the game's introduction. 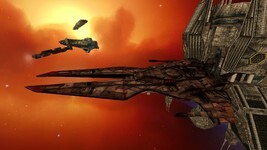 Bridge, TCS Concordia: The game mirrors the close shot when a second character needs to speak. 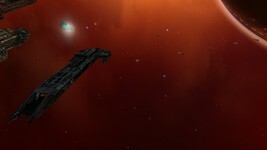 Briefing Room, TCS Concordia: The briefing room has an extra 'wide' shot. 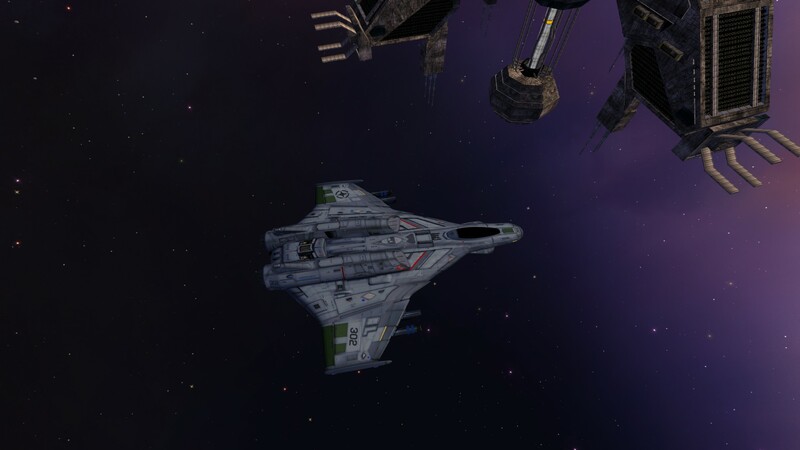 Repair Deck, TCS Concordia: The Repair Deck re-uses a flight deck image for the wide. 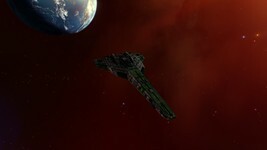 Space Station: Used for multiple stations, including Caernavon and Olympus. Ground Base: These are used for Niven and Ghorah Khar, depending on the series you earn. 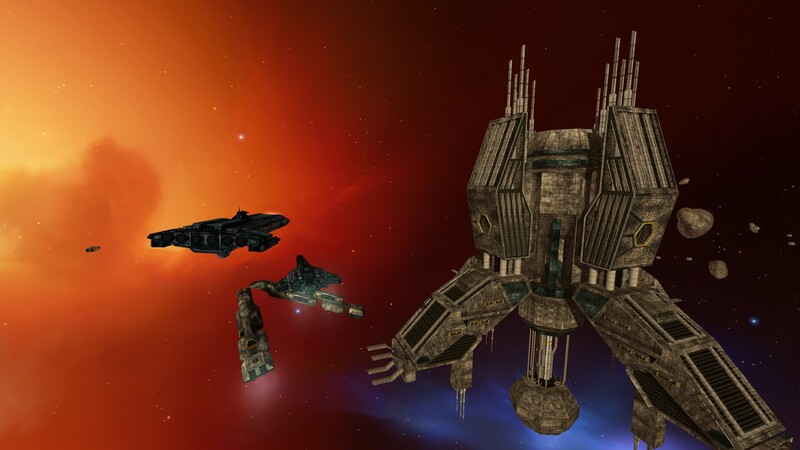 While they are a redress of the Tolwyn set, they are distinct renderings. 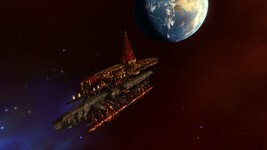 Kilrathi Throne Room: Used on multiple bases. 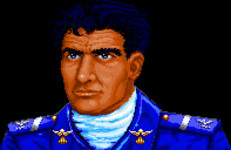 The game mirrors the close when a second character is speaking. 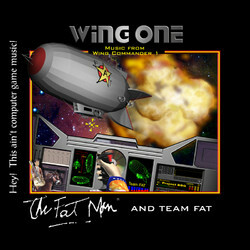 Did you miss out on The Fatman's Wing Commander soundtrack, Wing One? Good news: it's now available via mainstream digital music storefronts including Amazon and iTunes. The 27-track album includes all of the music from the original Wing Commander recorded using a Roland MT-32 (plus a few surprises, including a lullaby version of one track and a live recording of the theme from CES!) It's also available for purchase through Amazon's international sites, so no matter where you are you can add a copy to your digital library! 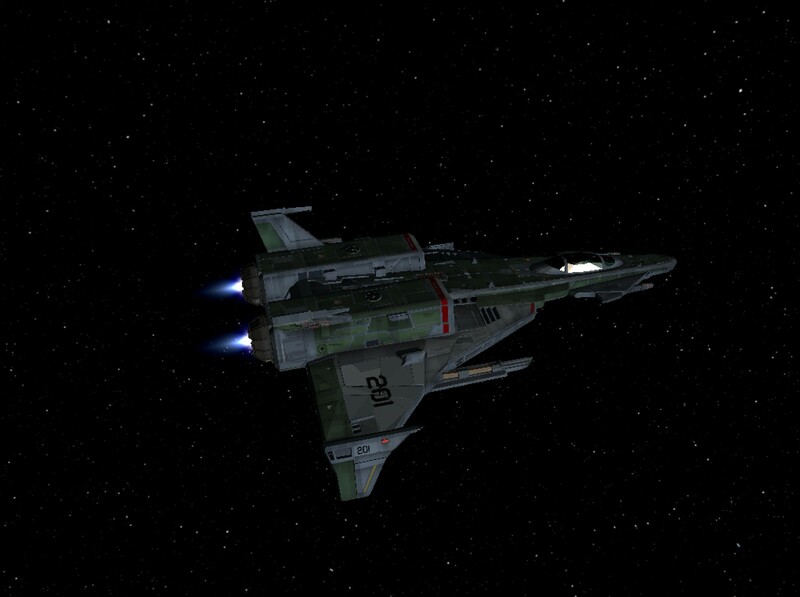 Good news for pilots who want to make their games especially pretty: DefianceIndustries has launched version 0.21 of his Wing Commander Prophecy Model Upgrade Pack. 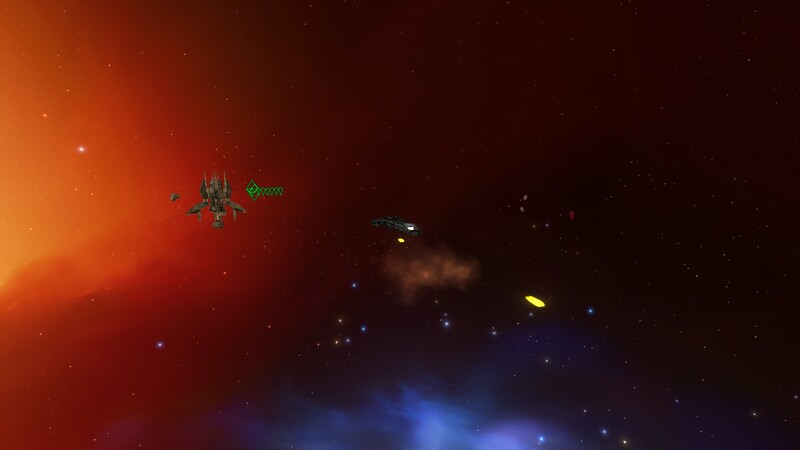 This is an unofficial update to the game that replaces the original 3D models with much higher quality, modern versions... the end result being pretty spectacular! 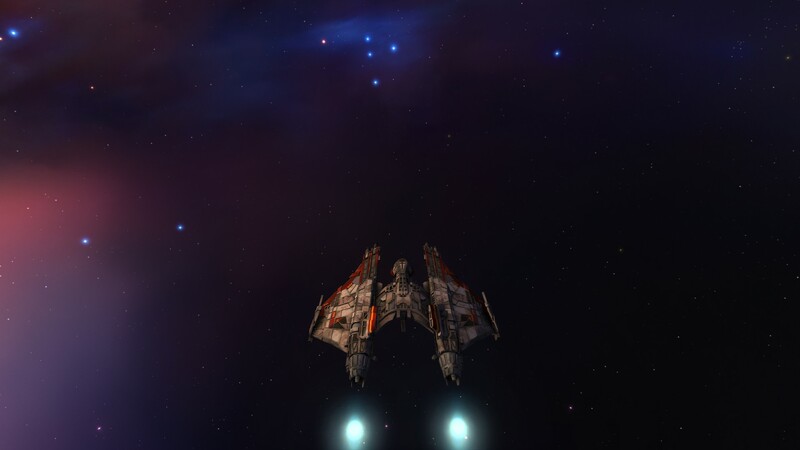 The project now supports the original retail release of the game, Wing Commander Secret Ops, Wing Commander Prophecy Gold AND the GOG edition of the game! This update adds several new ships to the upgrade set: the Excalibur, Piranha, Vesuvius, Condor and even high resolution asteroids! Wing Commander Prophecy versions of ships include alternate livery for Diamondback and Black Widow squadrons. 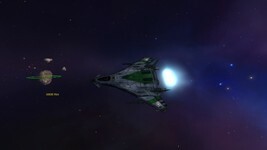 You can download the pack here. 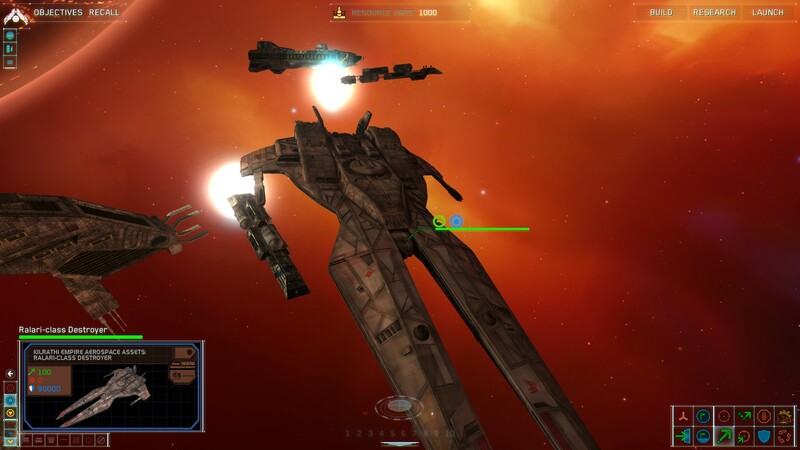 Wingmen Back from the Dead! There was dead silence in CIC as they watched Xenophon's last fight, helpless to intervene, helpless to do anything but watch as Ragark's fighters swept in and hammered the light cruiser. They had thrown up a heavy jamming field around her, too, so they couldn't even raise Forbes or Richards to speak to the men one last time. 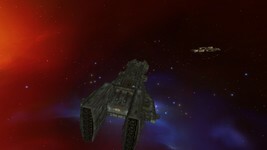 It came to an end far more quickly than Bondarevsky's fight with the two Kilrathi cruisers had. 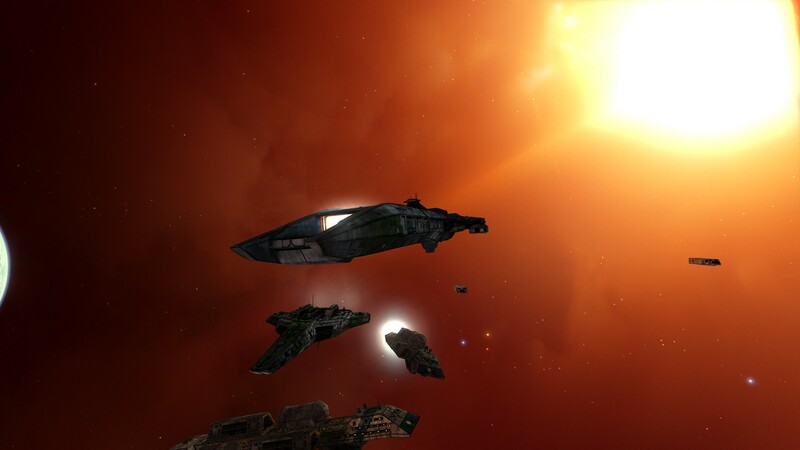 One moment Xenophon was still alive, lashing out at any craft impudent enough to approach too close. The next minute…nothing. The ship was just gone. And with it, one of Tolwyn's best friends. 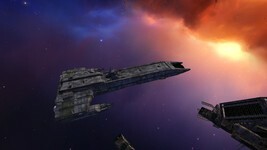 Admiral Vance Richards had been a good man, for all his faults, and Tolwyn would always remember him as a man of principle and honor. He had a flash memory of before the war, when they were both newly minted young gentlemen and together they had gone on their first mission. "God's speed, Vance," he whispered. 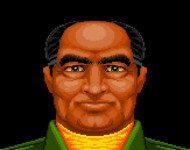 Joseph “Knight” Khumalo of the 58th Fighter Wing, one of the original game’s main wingmen… and apparently no one’s favorite, as even his talking heads end up telling the story of how other pilots are spreading rumors that he’s a cat lover. Knight is also the less significant of two of the original wingmen that were killed ‘too early’ in the Wing Commander movie. 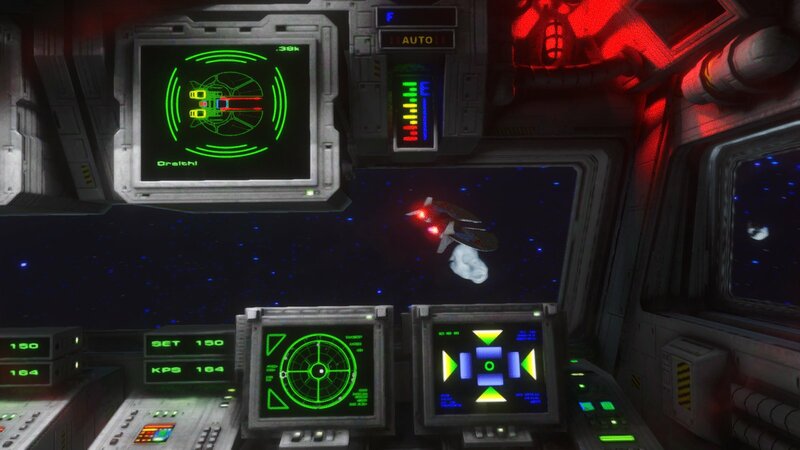 The movie tells the story of Blair’s arrival on the Tiger’s Claw and takes place shortly before the events of the original game… so these two pilots that seem to die must have somehow survived! In the movie, Knight is flying a Broadsword during the mid-film strike on a suspected Kilrathi convoy. 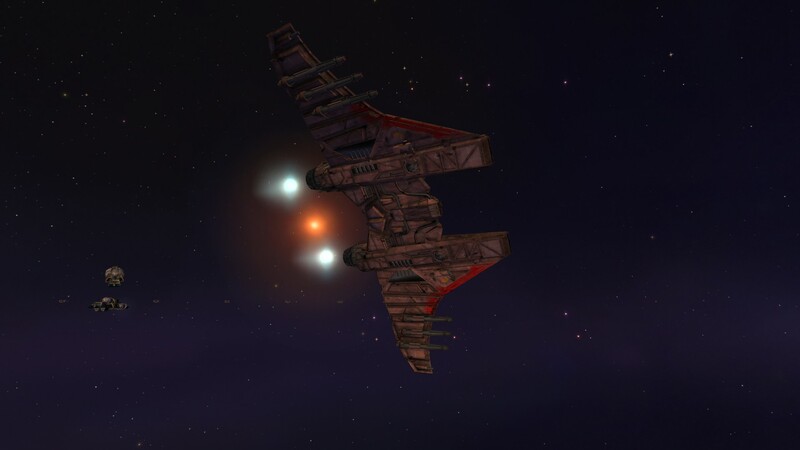 His bomber is shot down during a torpedo run (something well familiar to anyone who ever played Special Operations 1) against a Kirathi dreadnaught and he is not seen or mentioned again. The real question seems to be: did Knight then survive the loss of the Tiger’s Claw? He appears on Blair’s list of characters killed by Jazz in the Gwynedd losing series… but so do Hunter and Iceman, who were already known to have survived (see entry below, just apparently not by Blair.) 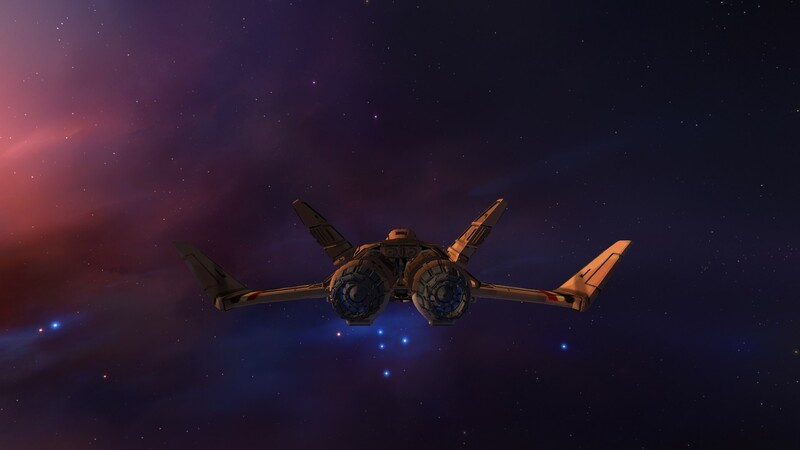 He does not appear with the survivors in the Ultimate Strategy Guide, though, and his ‘story’ in Secret Missions 2 seems to be intentionally ironic: he chooses to stay onboard and fight the Kilrathi instead of accepting a transfer to train new pilots. Knight’s ultimate fate is really one worse than death: he’s a character no one really cared what happened to. … in this minor reference, Shotglass seems to have survived the loss of the Tiger’s Claw! The unidentified author of Voices of War (Jacorski?) claims that he owns an item that Shotglass gave him, emphasis ours, “AFTER K’Tithrak Mang.” That could be one of two times: after the Tiger’s Claw attempted to destroy K’Tithrak Mang in 2656 or after the Concordia finally did in 2667. Either way, Shotglass seems to have somehow survived the carrier’s destruction! Did any characters we know actually die there? 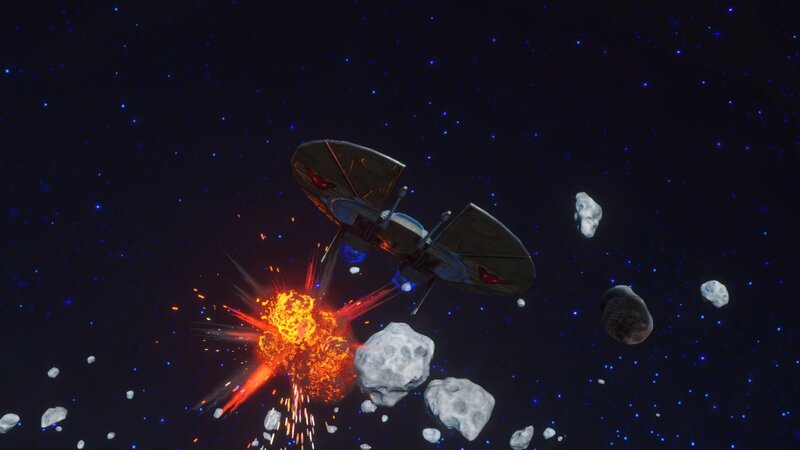 In that moment, the second Darket engaged. 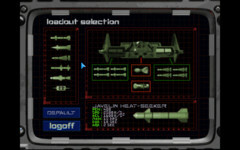 He didn't have to look at the damage control panel to know that he was losing armor around his reactor. 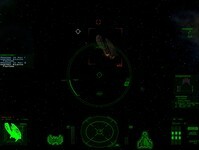 Desperately, Vagabond tried to dodge, but the controls were sluggish. 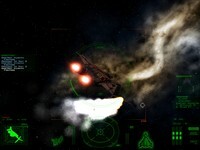 And then his fighter was gone, too, an expanding cloud of flame and smoke and whirling debris. 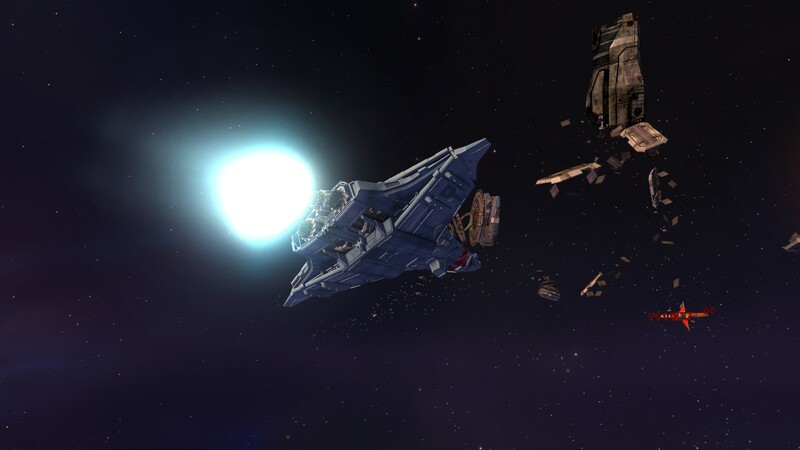 Blair thought he caught a glimpse of the Excalibur's escape pod boosting clear of the explosion, straining to reach orbital velocity, but he wasn't sure. 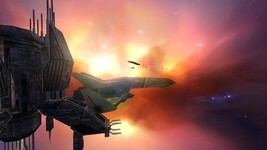 And even if Maniac had somehow managed to survive that blast, he wouldn't be playing any further part in this battle. Blair was alone. 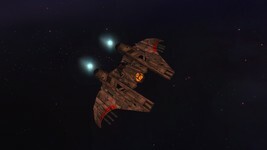 Marjakh nar Kurutak, aka Stalker, was the Strakha ace in Wing Commander III. 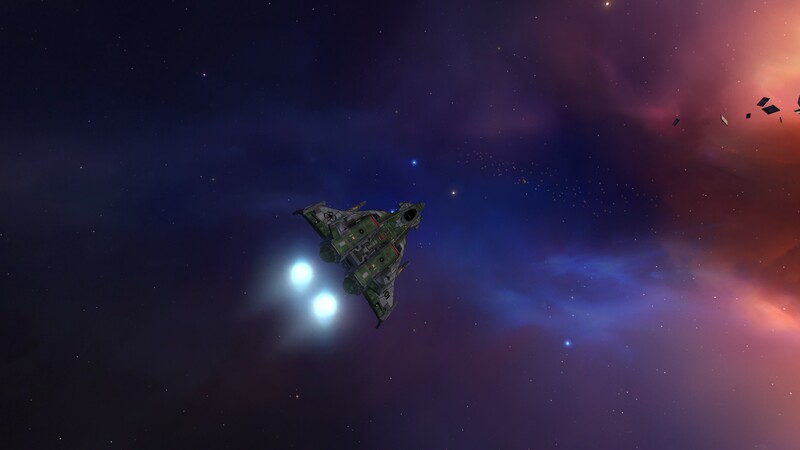 As the ship choice and callsign would suggest, Stalker is a silent killer who hones in on his prey using his invisible fighter before decloaking to pounce… the perfect tactic for a space cat! You meet Stalker in combat in the optional Alcor 3 mission, as he leads an attack on the TCS Victory while you are busy hunting Hobbes. "Vanderman from Tiger's Claw, isn't it?" Ian asked, and the old pilot sitting across from him on the other side of the aisle nodded and shook his hand. 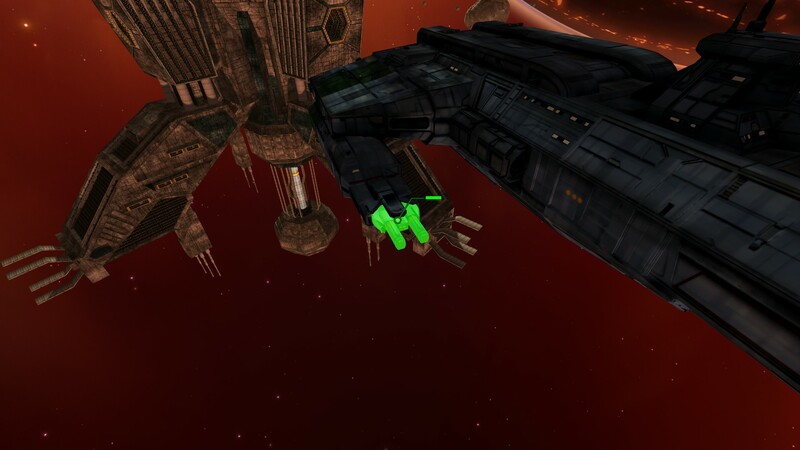 "Hell, I thought you bought it when the Claw got it," Vanderman asked. "I got transferred off on a two week furlough the day before she got hit," Ian replied, a flicker of sadness crossing his features at the mention of his old ship. "Luck of the draw I guess," Ian mused, "if it hadn't been for the furlough I'd have died with the rest of my friends. 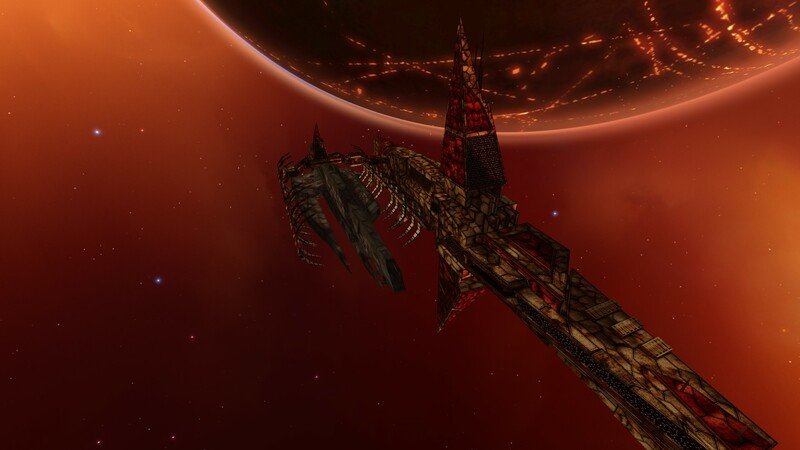 "But what about you," he asked, forcing a smile, "I saw you go down over Draga just before we pulled out." 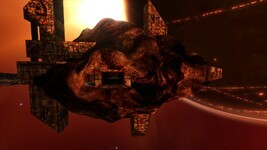 "I ejected and made it down to the surface, mostly in one piece. Stranded for a couple of years," Vanderman said, "kind of wild and woolly down there, with the carnivores and such." "Paladin, damn me, I thought you got killed," Ian shouted, coming to his feet and running up to embrace his old friend. "As usual, laddie, the reports of my death are a bit premature." The group roared with delight as the old pilot came up to stand by Tolwyn. "How the hell did you get out of that last scrape?" Ian asked. "They said you were reported long overdue and presumed dead. Hell, man, you owe me a drink 'cause I bought a round at the Vacuum Breathers in your honor. Old Gallagher even gilded your mug." 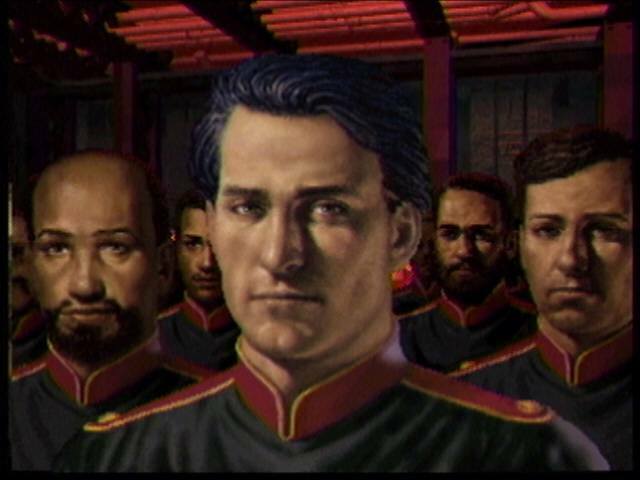 The Confederation Handbook develops a great mythos for the Pilgrim religion introduced by the Wing Commander movie, which involves the founder of the religion, Ivar Chu McDaniel, and a crew of colonists disappearing into the unknown early in humanity’s colonization efforts. 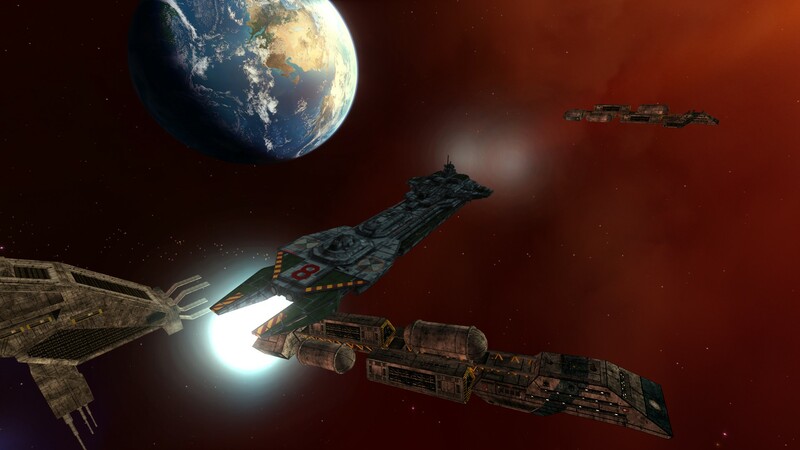 It’s a great retcon in general because the meat of it is actually based on the 1997 Wing Commander Universe map included with Prophecy… which features a system called McDaniel’s World near several ‘holy’-sounding stars: Faith, Promise and so on. The Handbook took that slight implication and turned it into the Pilgrim backstory! So the church’s founder, Ivar Chu McDaniel was believed lost in a drive malfunction… until the final movie novel, Pilgrim Truth, where we learn that he and his followers have traveled far away from the galaxy thanks to a still-unidentified alien intelligence! Huh. Time to talk about someone who never existed. 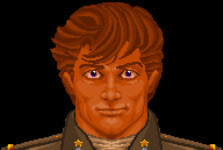 They say that the valiant taste death but once… but the sad truth is that Bosman, originally introduced as a wingman in Wing Commander I, has now died twice and possibly as many as three times. 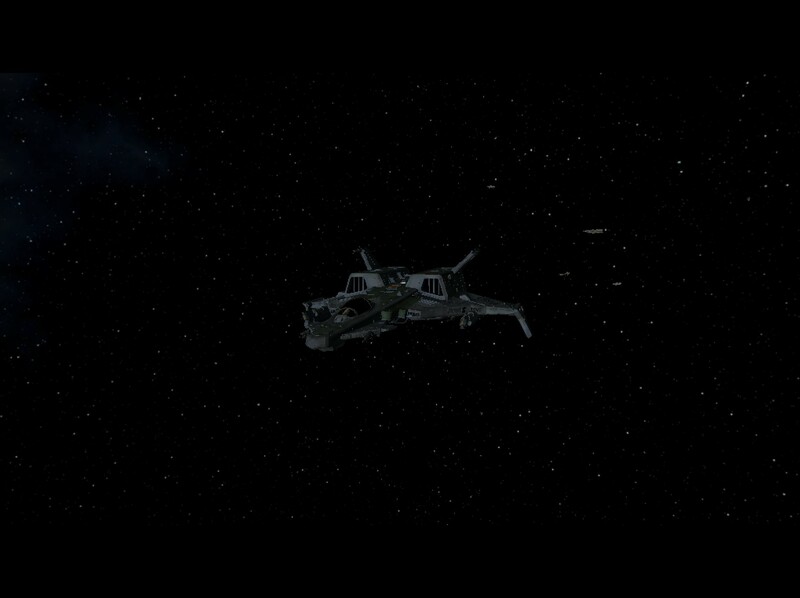 In the Wing Commander movie, we learn that Blair and Maniac have arrived on the Tiger’s Claw as replacements for pilots recently killed in the Vega Sector including Bossman. Blair makes the faux-pas of sitting in Boss’s former fighter and the rest is history. 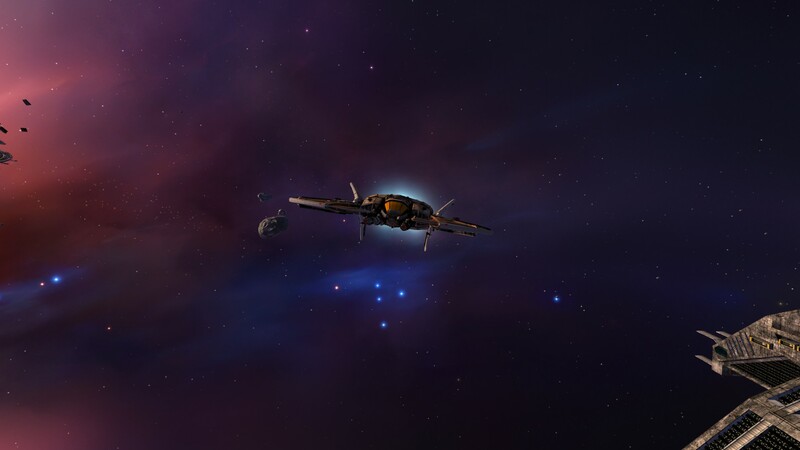 Of course, that story is problematic on the surface: how the heck do you recover the fighter of a pilot who died in space? 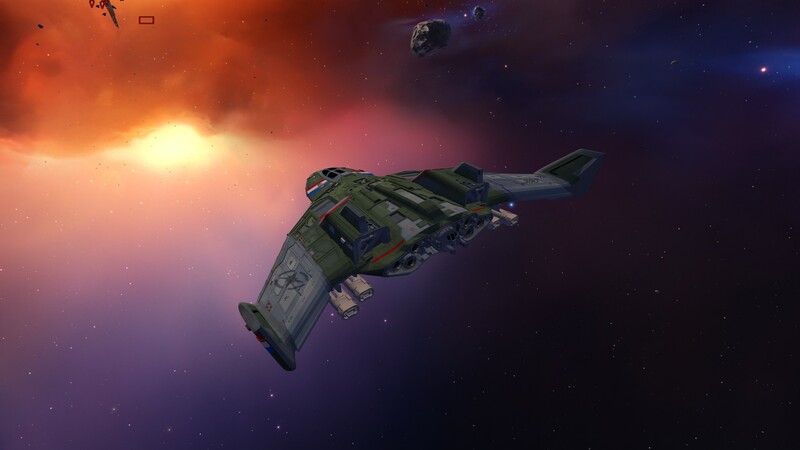 The Confederation Handbook adds a little backstory, but certainly leaves open the idea that he might have been taken by the Kilrathi. You knew he was coming! 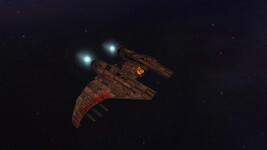 In early 2681, Commodore Christopher Blair boarded the final tower to allow Lieutenant Casey and the other Midway pilots a chance to destroy the Kilrah wormhole gate. Blair attempted to escape to his ship but was attacked by a Nephilim Warlord. The gate was soon destroyed and he was presumed dead. 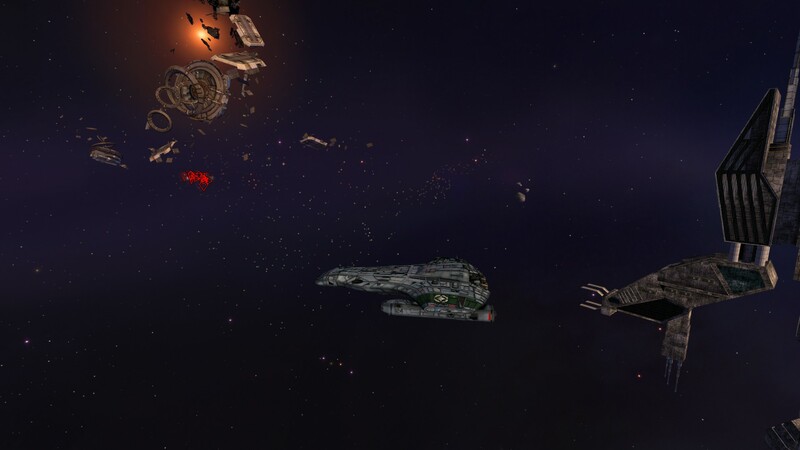 The Confederation held a memorial service and mourned their greatest hero… and Wing Commander fans immediately began to debate. As Blair turned to catch up with Paladin, he suddenly found himself staring in a mirror. His hair had thinned and grown white. Age spots dotted his wizened forehead. His shoulders slumped and his chest sagged. The mirror shattered, and the pieces hurled back across a scarred and blackened landscape that he recognized as Washington D.C., Earth. 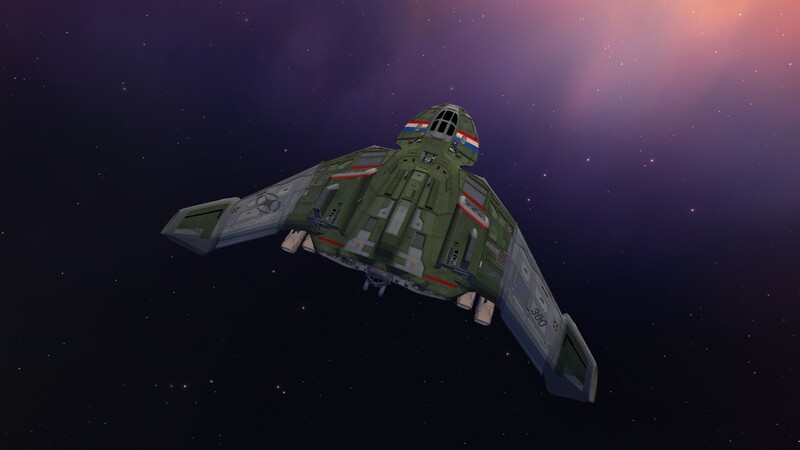 Pilgrim fighters and bombers streaked overhead, dropping unceasing salvos. Fires raged. Pillars of smoke supported a dusty blanket of sky. That’s bad news for Washington DC, but good news for Wing Commander fans who want Maverick to have further adventures. Here’s hoping we can tuned for Wing Commander: Resurrection! That wraps up our list! 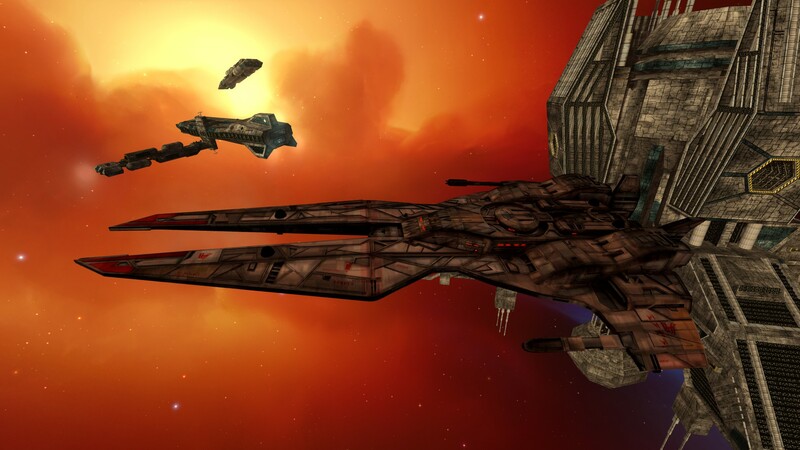 Can you think of any other Wing Commander characters brought back from the dead? Let us know in the comments! 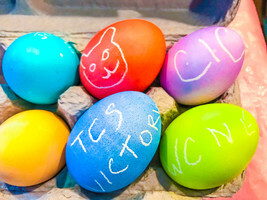 Hope you all had an eggscellent Easter out there! 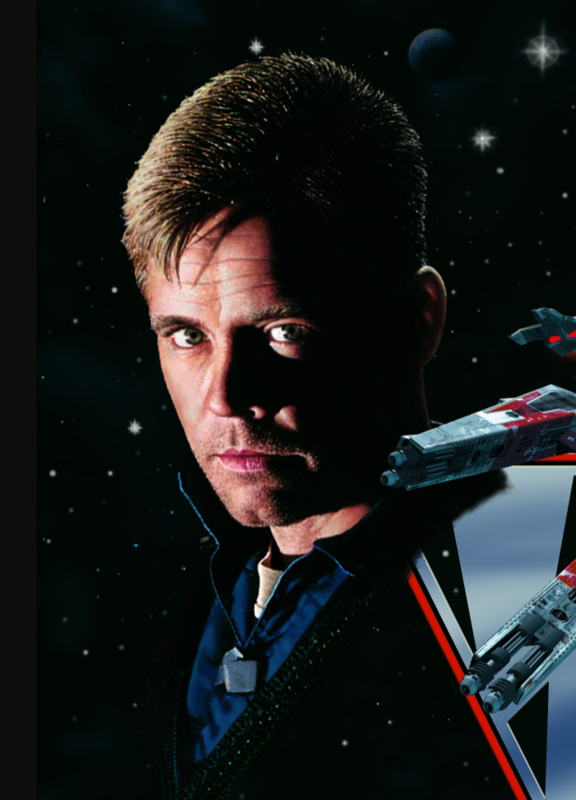 Remember Lyle Starbuck? 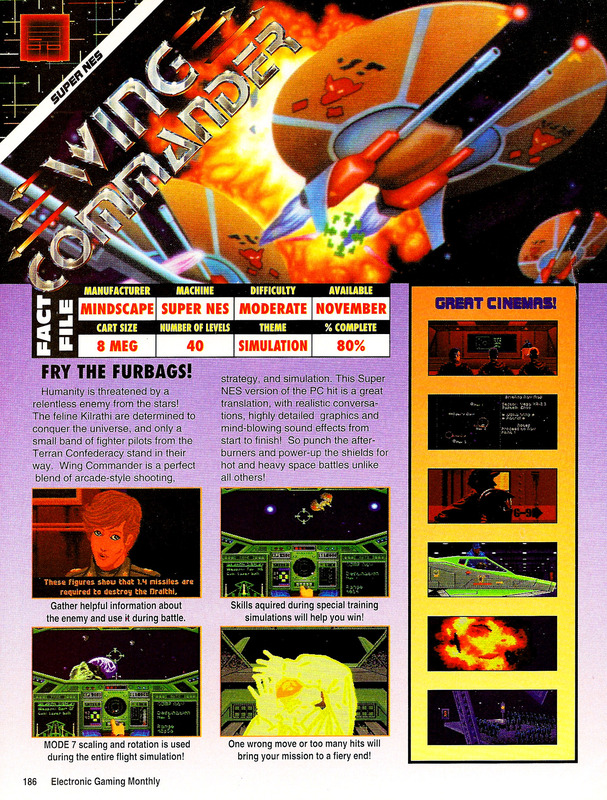 That's the name used for the player character in the Mega CD port of Wing Commander I's manual! 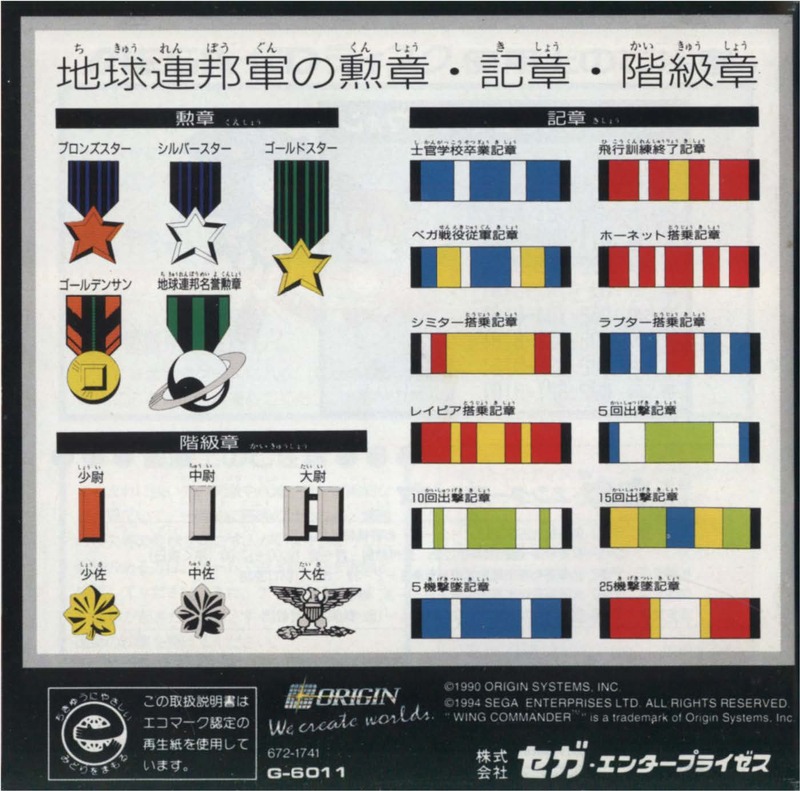 It's one of at least three original Japanese-language Wing Commander publications that we'd love to explore further. 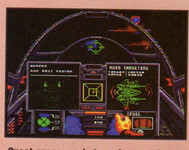 Like the Super Famicom manual, the Mega CD (the Japanese name for the Sega CD) version is not Claw Marks. 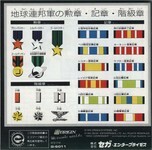 Instead, it's a new, full-color booklet that contains much of the same information. Are there new events in the timeline, new background about the Tiger's Claw crew? If you're familiar with Japanese and would be willing to donate your time, please contact us to help the community find out! Want to take a look at the manual? Even if you can't read it, it still features original Wing Commander art (including a new version of the Vega Sector map and a full-color decoration chart! 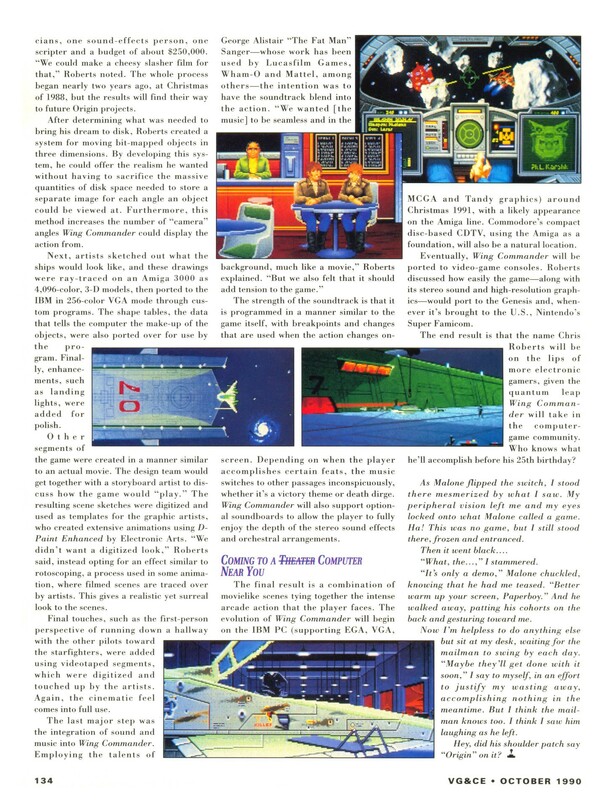 Pix has scanned the entire manual and it is available for download here at his site. 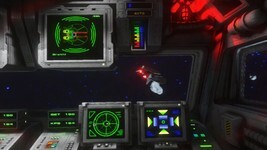 Mike Winterbauer's Classic Game Covers book Kickstarter has reached its funding goal and is rocketing (auto-piloting?) towards the finish line! The campaign ends in just four days... so if you'd like a copy of his extremely cool book, now is the time to pledge! 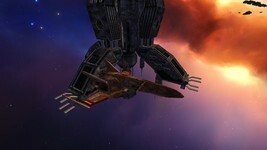 In honor of the last days of the campaign, we've tracked down TWO more uses of his Wing Commander painting! 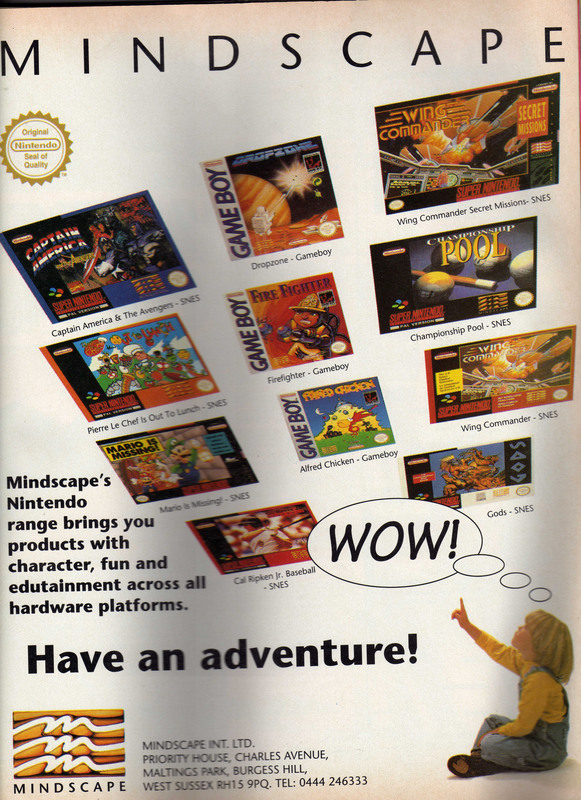 The first is a November, 1992 preview of the game printed in Electronic Games Monthly magazine and the second is an advertisement put out by Mindscape to show off all of their SNES lineup. Can we find any more apperances of the painting? Check back in three days to find out! 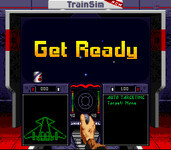 Remember the TrainSim (aka Squadron)? 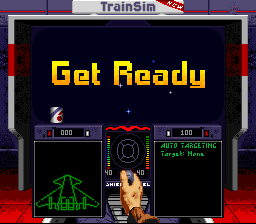 The 'arcade game' in the Tiger's Claw was both your first step into the original Wing Commander and a fun way to learn to fight the Kilrathi. Under the hood, the game treats the TrainSim as its own series of four missions (in fact, this is likely why there are four 'slots' in each series for potential missions in the first two games.) 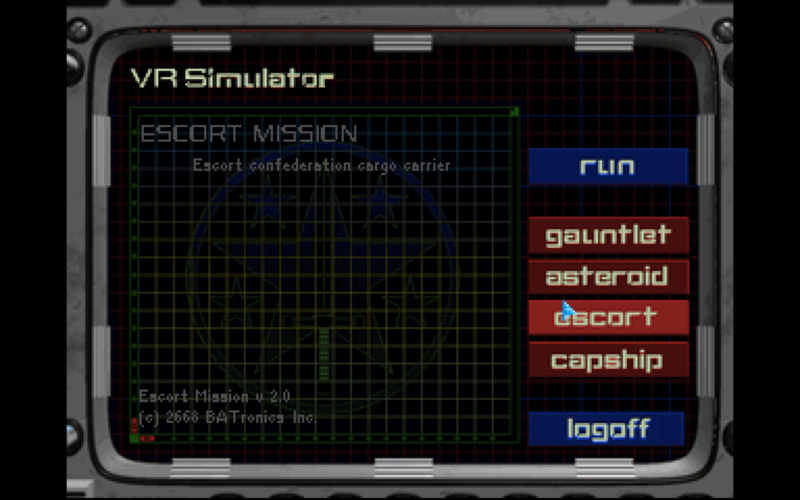 Each of these missions has four Nav Points that the player can't see because you can't access navigation or the map. 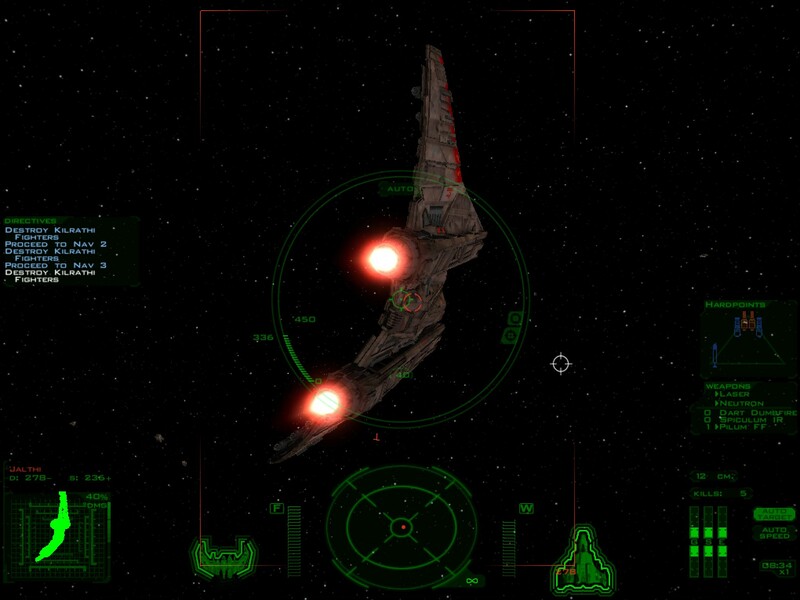 The first has the wave with one enemy, the second two, the third three and the fourth four. 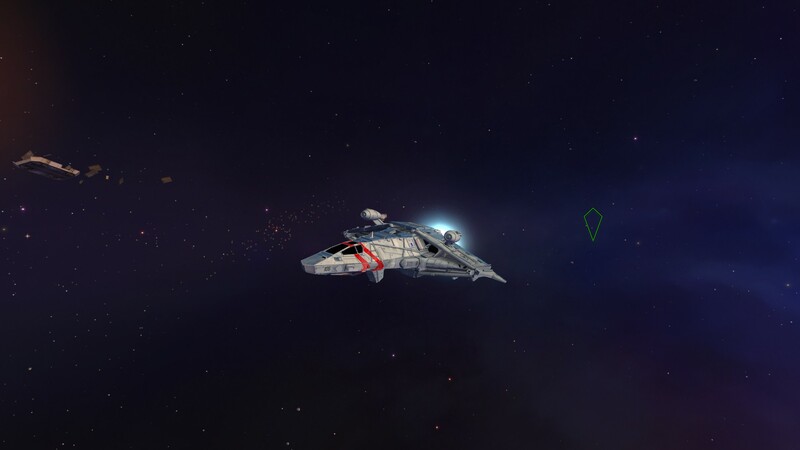 A careful examination of the game's data reveals that each of these nav points has its own name... and they can be pretty funny! 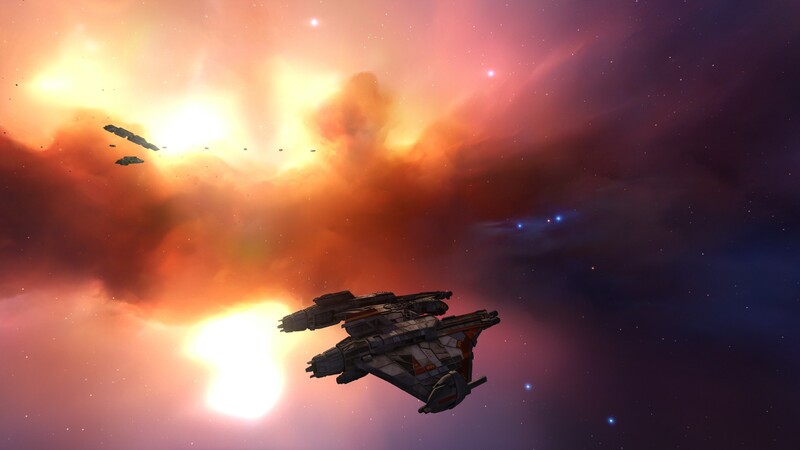 Next up on the orchestration schedule an intense battle medley from #WingCommander 4. 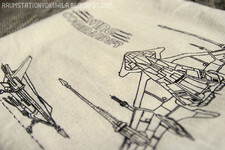 Will be launching next campaign for volume 2 in May! 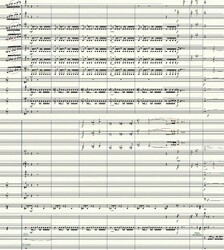 Finished another orchestration for #WingCommander volume 2 CD. 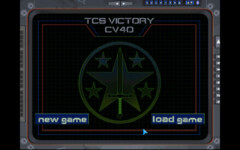 WC4 intense combat. Pretty crazy music! 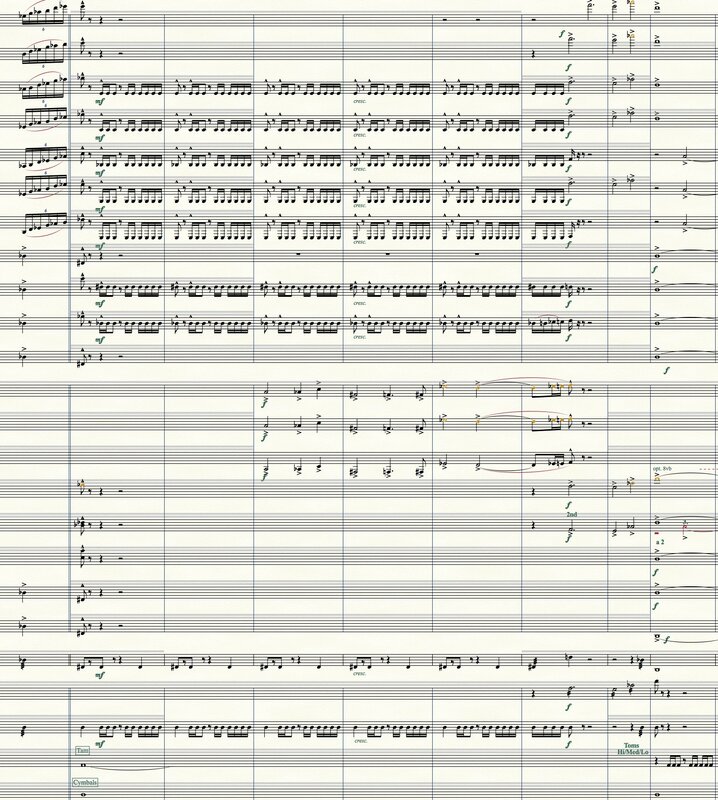 Here is part of the score! 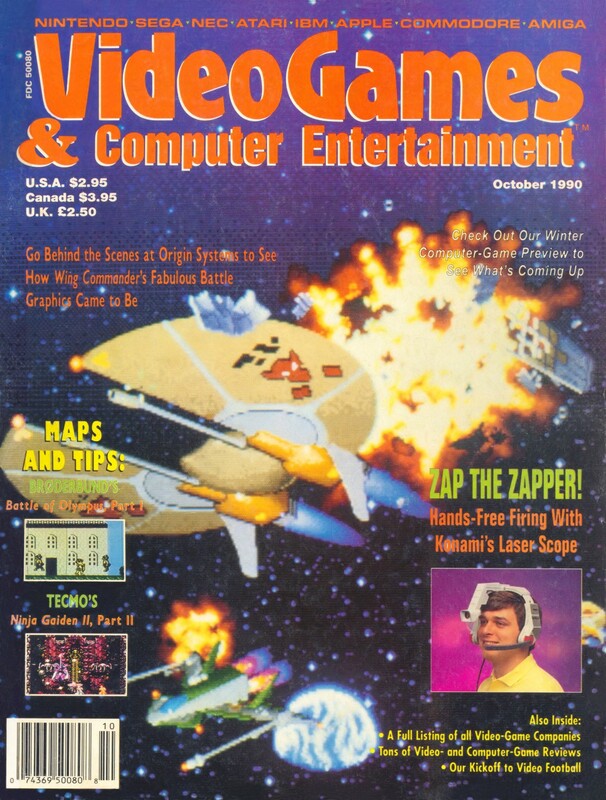 Here's an especially interesting gaming magazine scan: a longer cover story from the October 1990 issue of VideoGames & Computer Entertainment magazine. Published alongside the game's release, this may have been the first on-hands 'making of' article about the game. 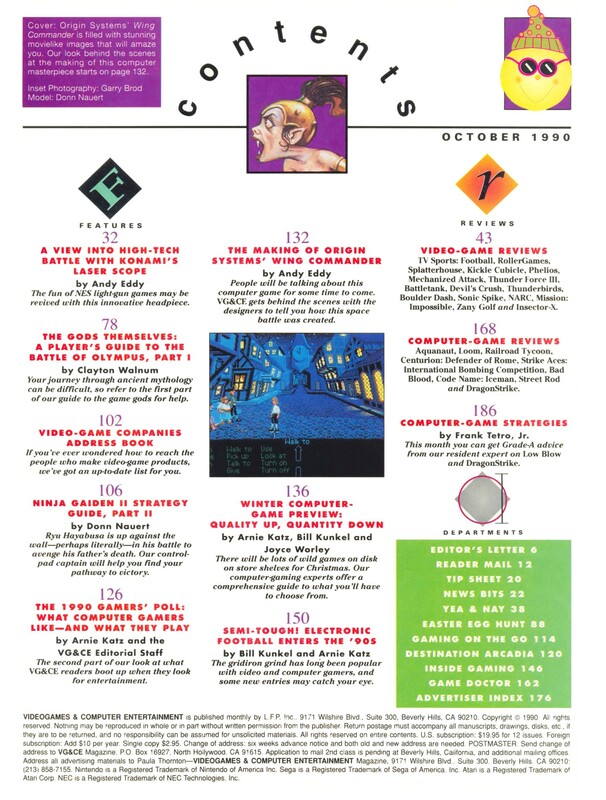 If Computer Gaming World was the PC gaming magazine of record int he 1990s then Electronic Games Monthly (EGM) was how the other half lived. 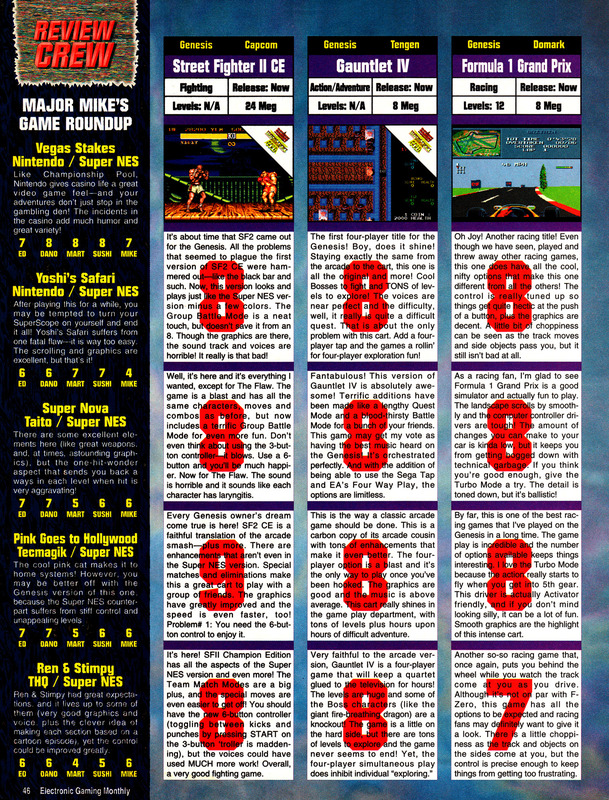 EGM covered console titles and featured more of an 'in-your-face' vibe. 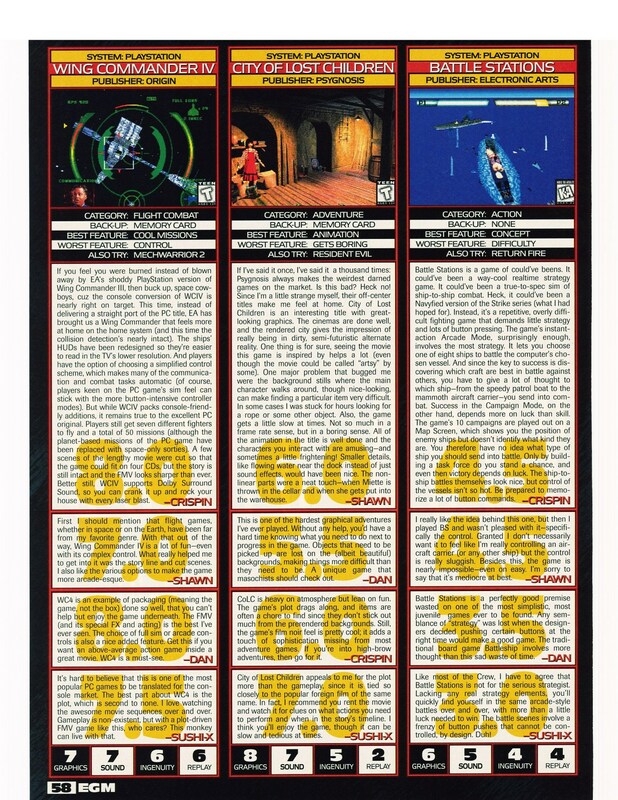 Reviews were generally limited to small capsules as part of a 'Review Crew' system where a selection of personalities each gave their thoughts on a game. 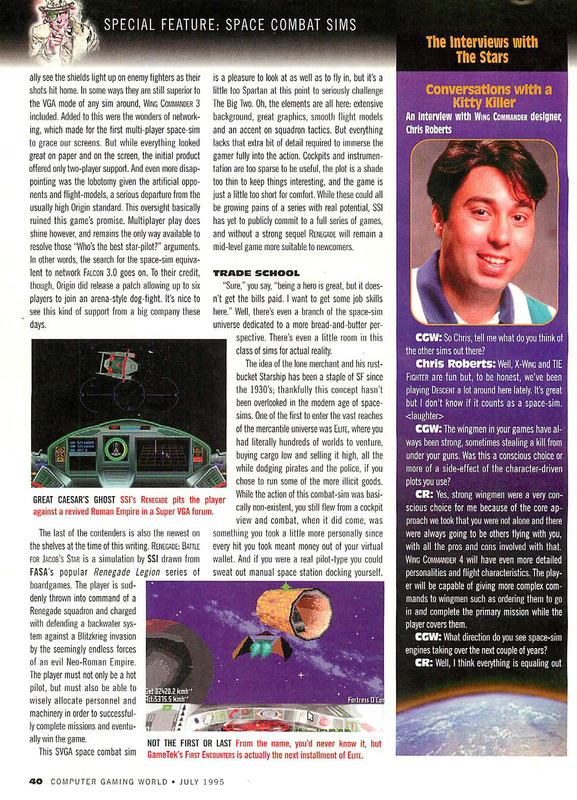 These Review Crew scans cover the four Wing Commander console reviews we've been able to identify: The Secret Missions SNES (#54), Super Wing Commander 3DO (#58), Wing Commander III 3DO (#73) and Wing Commander IV PSX (#94.) 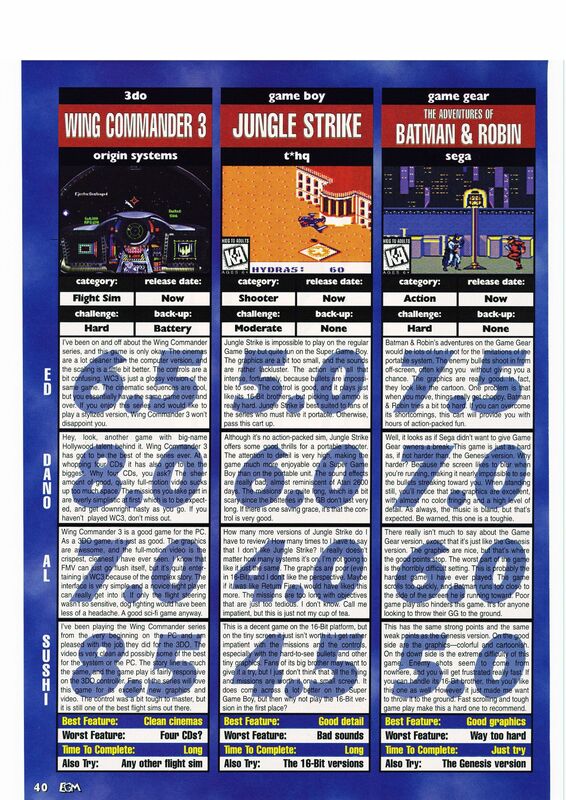 Wing Commander SNES, Wing Commander III PSX and Wing Commander for the SegaCD would also have fallen under EGM's purview, but we have not found an indication that they were reviewed. How to Use: All the ships should be viewable in the Tech Room. There is also a simple three point patrol mission in the mission simulator. 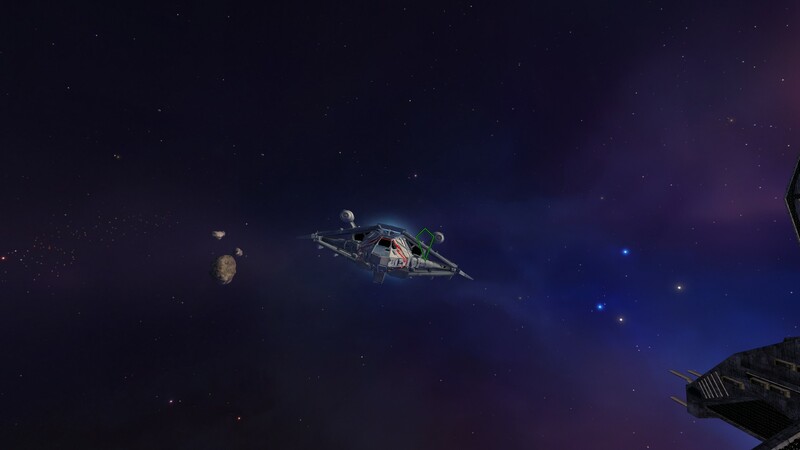 For added fun try flying the mission with different ships which you can select before starting the mission. 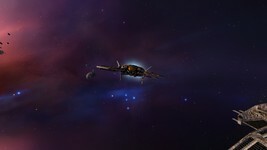 All the ships work in FRED so feel free to make additional missions and share them with the community. 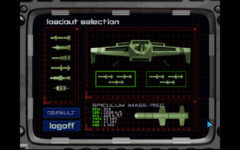 The weapon icons do not accuratly reflect the loadout locations on the ships. 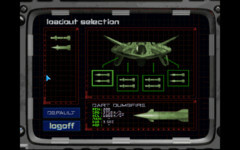 Placeholder shield icons used for some ships. 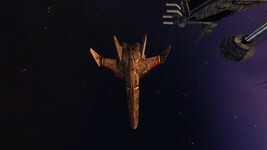 Pilum FF external model is missing. 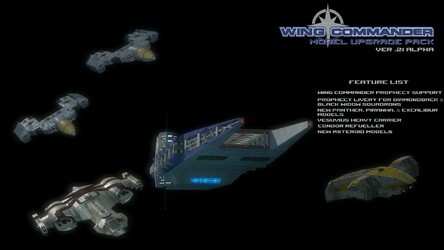 Yesterday, Wing Commander: False Colors was released as an ebook. Today, we'd like to tell you a little about the book's background! Eagle-eyed readers may notice there's slight difference with the ebook edition of False Colors' title: the name of the co-author. Printed copies read "William Keith" whereas the new version says "Andrew Keith." What's going on? The answer is that the original printing was actually an embarassing error: William Keith is a real writer... just not the one who wrote False Colors. 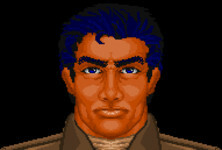 His brother Andrew, who also wrote the Heart of the Tiger novelization, was the man behind False Colors. 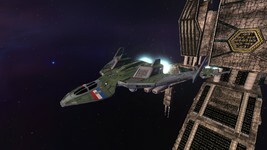 Andrew Keith was active in the Wing Commander community at the time and he took the error in good spirits. Unfortunately, Andrew passed away not long after False Colors was published. The preview chapter is an earlier draft, saved before the editing process was complete. As such, it's an interesting look at how the smallest details of a book can change! 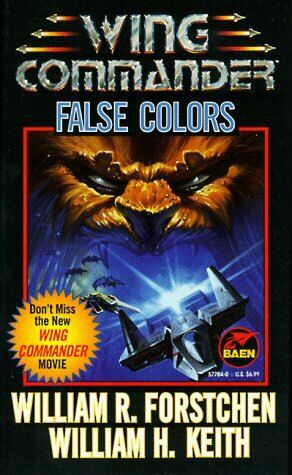 Here's an odd fact: False Colors is the only Baen Wing Commander novel NOT translated into German. It's unclear exactly why the book wasn't translated, given the success of the other novels in the range. It was, however, available in the Czech Republic where it sported a beautiful new cover (pictured.) 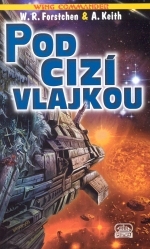 The Czech translations only adapt novels involving Dr. Forstchen, so it is book 6 instead of book 7 there. 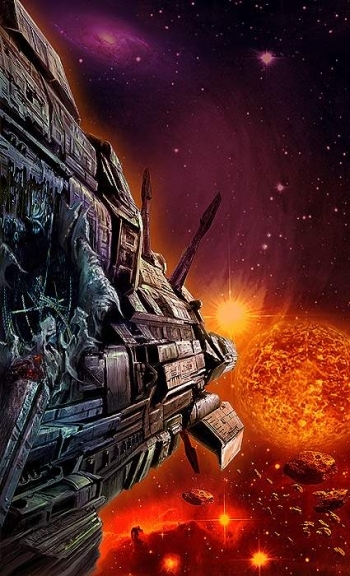 Released in 2005, this translation was the last official Wing Commander novel printed. 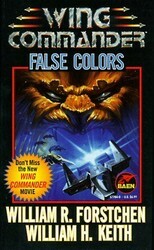 False Colors eBook Now Available! 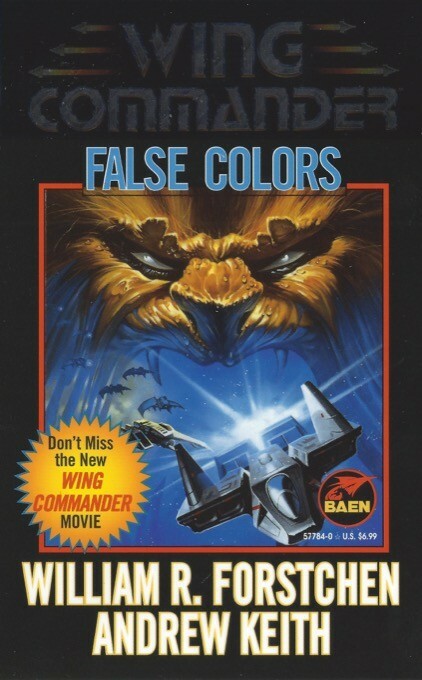 You can find links to purchase False Colors from various ebookstores below. Missing links (currently Barnes and Noble) will be updated when they become available. Meanwhile, the remaining unreleased Baen novel, End Run, has not been placed on the schedule yet. The next window is August, and we will report when it is announced.Update: The Nook version is now available. A variety of capital ships relating to the events of End Run are being added to the mod. 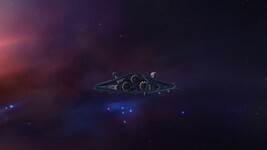 Last time, we reported that the Snakeir carrier had been added for the Kilrathi. Countering that for the Confederation is the TCS Wolfhound (Bengal-class flagship of Admiral Banbridge), the Exeter destroyer, the Confederation-class Concordia, the TCS Tarawa and the Venture corvette! The Kilrathi fleet is getting bigger, too! 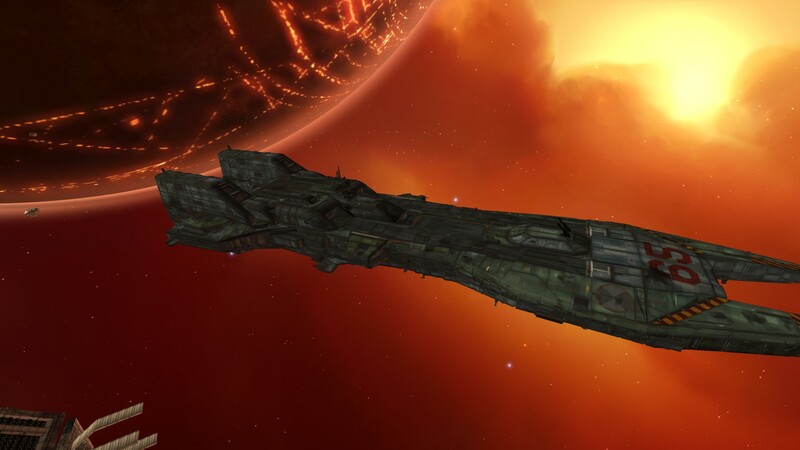 This Sivar-class dreadnaught is not intended for the campaign... but it is pretty cool! 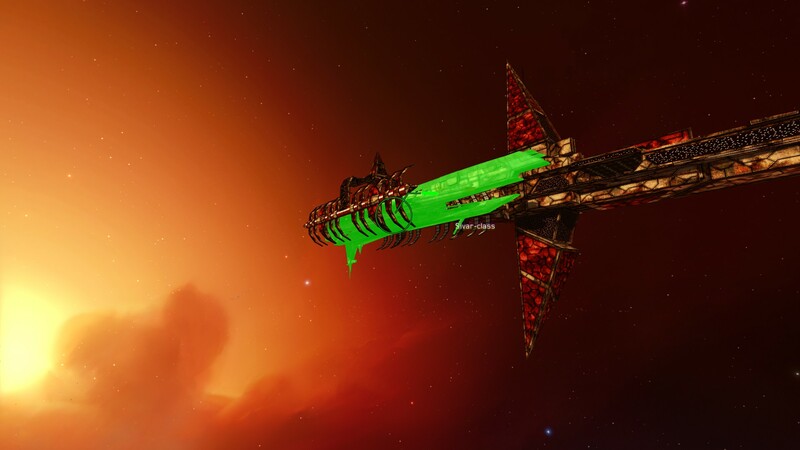 It's Klavs' take on a design for the Kilrathi weapon you hunted down in The Secret Missions. 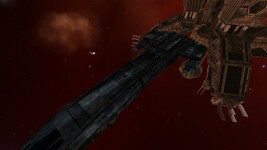 The Kilrathi drydocks can be used to represent those attacked at Kilrah during the course of End Run. 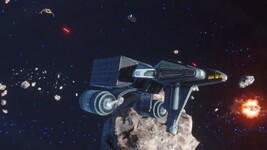 The Ralari destroyer and the Wing Commander III asteroid base have also been added. 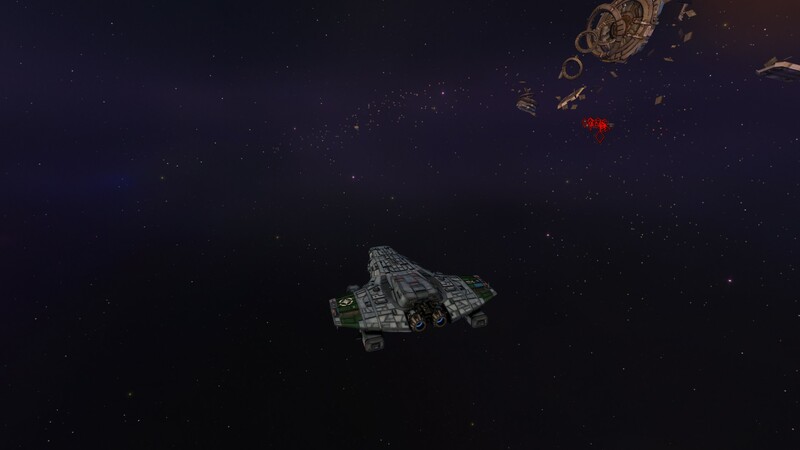 The Kilrathi get an impressive fleet of fighters, too! The original Dralthi, Gratha, Hhriss and Jalthi are ready for action. 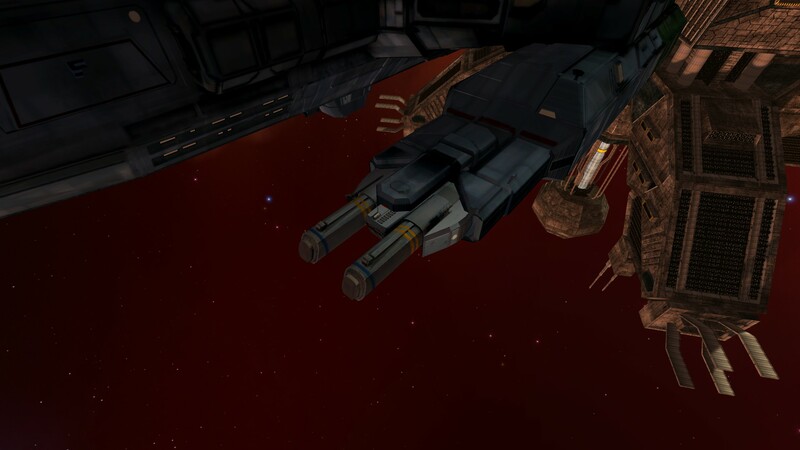 In addition, the Skipper Missile (not pictured) has been added. The ships aren't the only thing being updated! 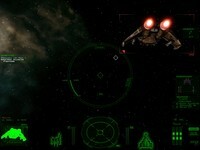 A new set of icons has already been integrated into the available mod. L.I.F. writes: "The new icon is strongly inspired from the tactical icons showed in Wing Commander Saga's briefings, modified with the new ships as well as with a dedicated space for the statistics of the unit. 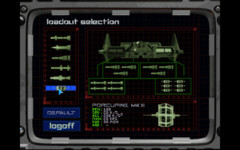 I think I'll end up going with multiple-view profiles for ships and fighters, like in Wing Commander III's loadout screen." 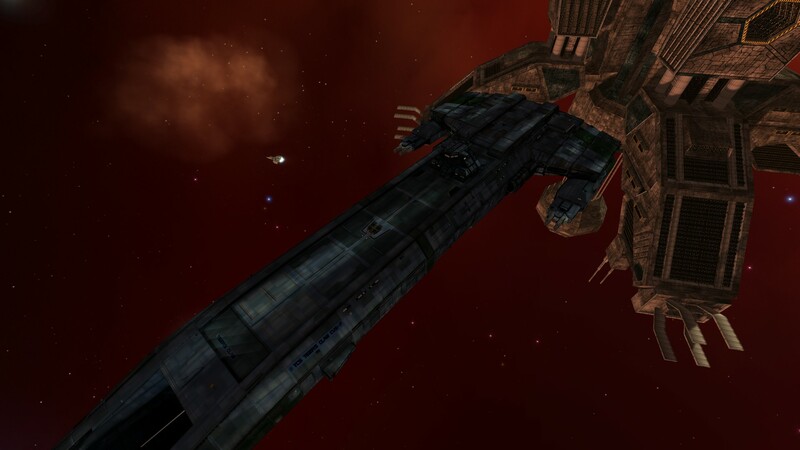 Finally, a note of apology from the editor: since returning to write for the site I have not had a good handle on current Wing Commander Fan Projects. 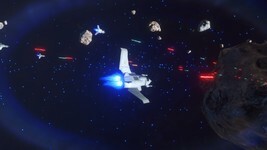 I will be making a special effort to include all of the incredible work the community is doing going forward and future updates on this and other Fan Projects will be more timely! As for the Carl LaFong poll... well, that of course was deadly serious. SEIZE THAT MAN! No, not because he intends to disrupt a plot to start a war with the Border Worlds… but because he is an imposter! 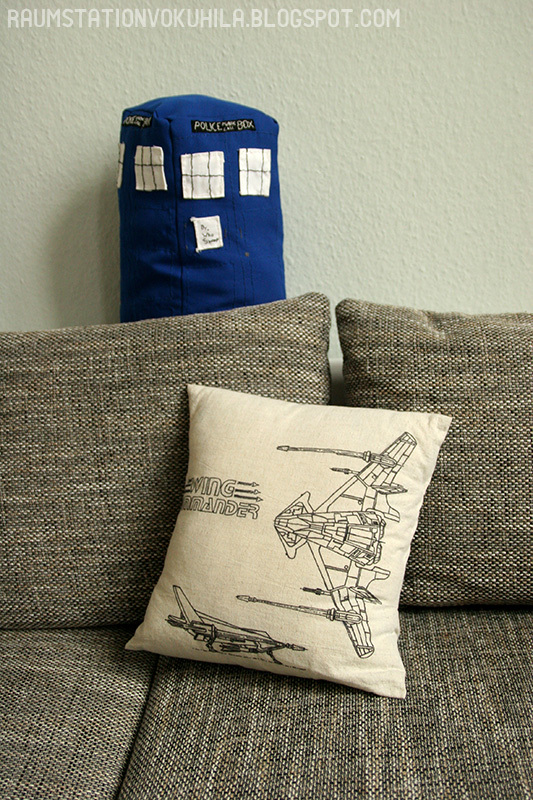 The dashing, young blue-haired pilot chatting with Angel about statistics and Shotglass about space drinks (or for Super Nintendo veterans, space desserts) is not future destroyer of worlds Christopher “Maverick” Blair at all… he is Carl “Prankster” LaFong! 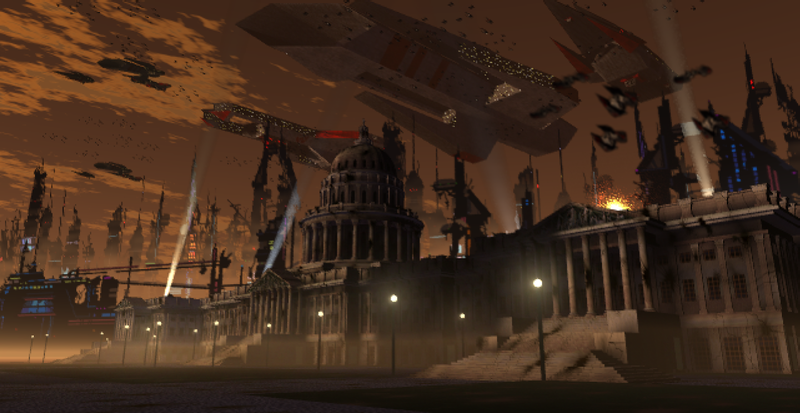 For too long, the Wing Community has wilfully ignored the great crisis of our age, the multi-Blair issue (aka the Blairadox.) With this post, that all changes. 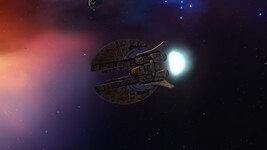 It is an established fact that the player character in the original Wing Commander did not initially have a name and that because of this fact later adaptations and updates that might need to refer to him took many different and seemingly irreconcilable tacts for referring to him before Wing Commander III introduced us to Christopher Blair in the form of Mark Hamill. 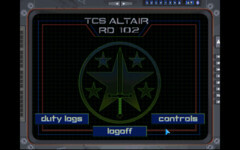 Today, we propose that the hero of Wing Commander I, The Secret Missions and The Secret Missions 2: Crusade is not and was not ever Christopher Blair. 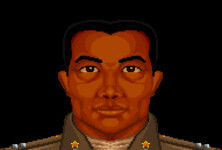 We propose that the hero of Wing Commander I and the two addons is and always must be Carl LaFong. 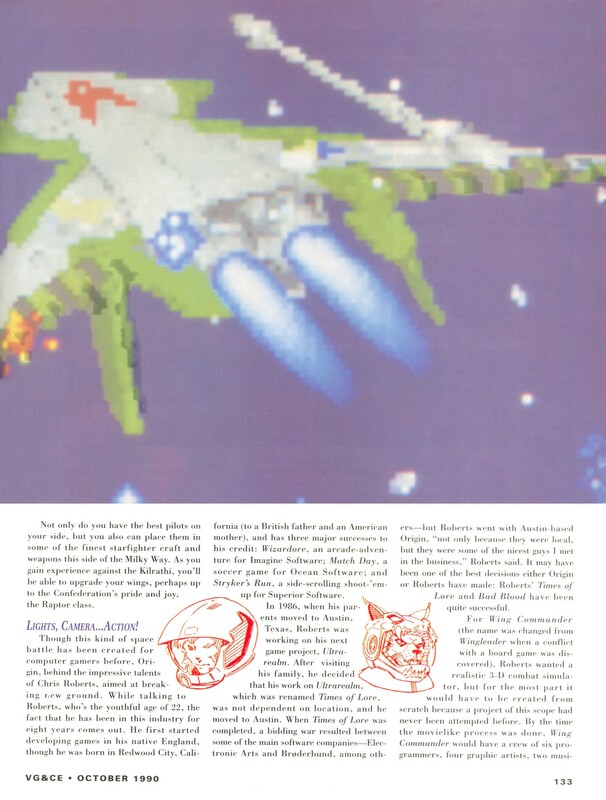 LaFong is the author of the first two sections of the Ultimate Strategy Guide and he is the man who flew missions like Enyo 1 and Kurasawa 2. Christopher Blair, then, is the character introduced in “Red and Blue” and the 1999 movie. He is a fellow Tiger’s Claw pilot, he attended the same class as Maniac and Prankster at the Academy and he was present for the Vega Campaign. 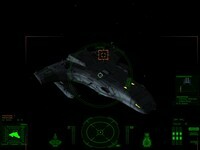 But his early adventures are told exclusively in the movie and on Wing Commander Academy. The biggest issue caused by the Blair retcon is that it invalidates Mike Harrison’s seminal Wing Commander I & II: The Ultimate Strategy Guide. As was common for top tier hint books of the day, the Ultimate Strategy Guide (henceforth referred to as USG) adapted the games it was discussing as a prose story. 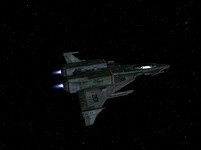 In a very real sense, the USG is the first Wing Commander novel. But it isn’t a story about the exploits of Maverick Blair… it’s the memoirs, written well after the war, of one Carl T. LaFong. 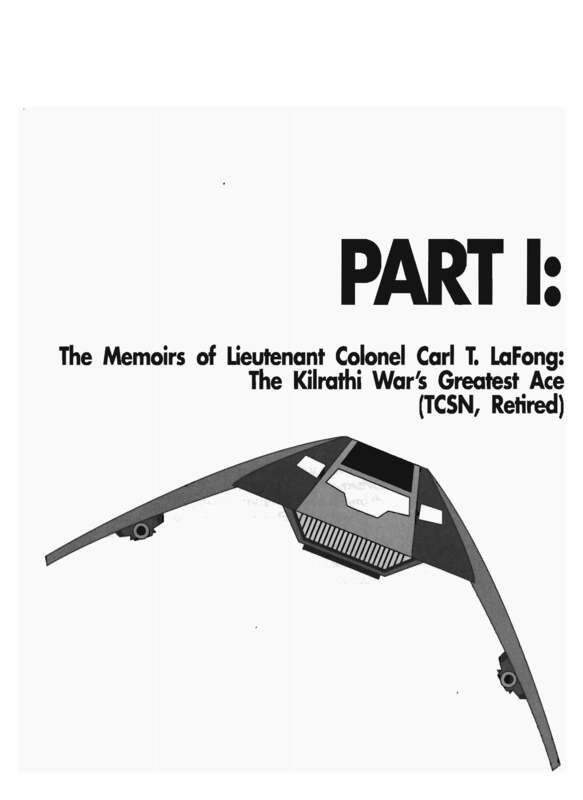 The guide covers LaFong’s early years at the Academy and then his combat missions. 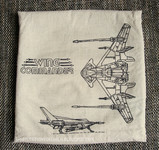 More than any other Wing Commander volume, the guide has informed later material. 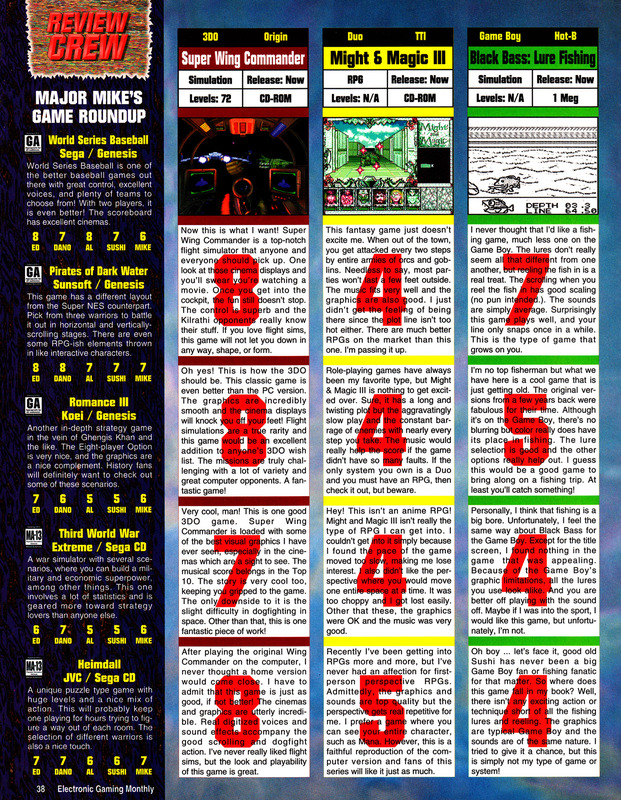 Much of it was printed wholesale in Origin’s licensor bible and as a result it is referred to throughout supporting material, from obscure references in the Customizable Card Game (“The Maniac Solution” and many others) to helping form the conceptual basis for the Academy animated series and even the Maniac/Blair relationship that formed the heart of the 1999 film. 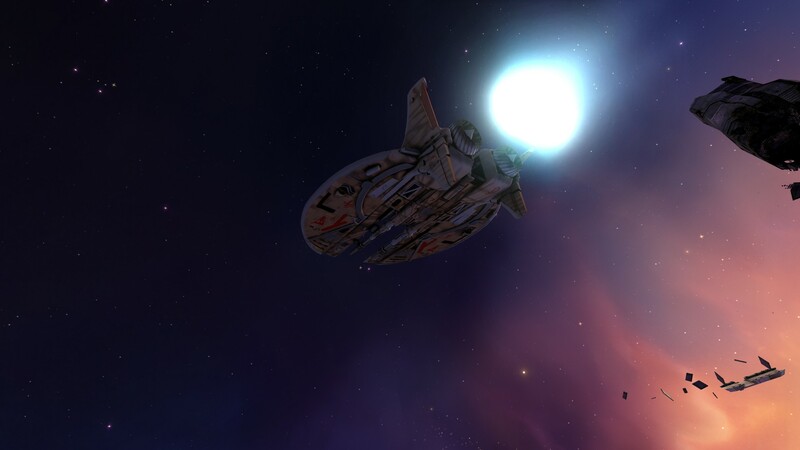 In short, the book is a massive part of Wing Commander’s canon and history, a major influencer on the series… and it is not something we should delete because later stories needed to specify more about the era! This solution is not just about preserving a historical artifact, it is about correcting the history of the Wing Commander Universe itself. 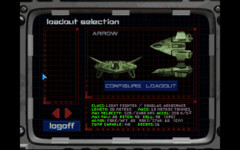 Later stories, like the TV show and movie, did not believe they needed to respect Wing Commander I as a strict story at all, and instead they gave the character a new backstory and new relationships with the Tiger’s Claw pilots. 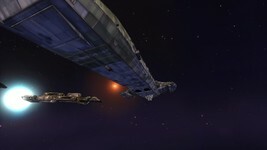 One of the most significant criticisms of the movie is that Blair and Angel are too close, that Blair should know Paladin was a spy in Wing Commander I, that the original characters should continue to rag on him for his later-established heritage and the like. But none of that matters if you aren’t Blair in the game! Carl LaFong isn’t a Pilgrim, he didn’t have a relationship with Angel and he has no idea Paladin is secretly with Naval Intelligence. The timeline, too, matters. 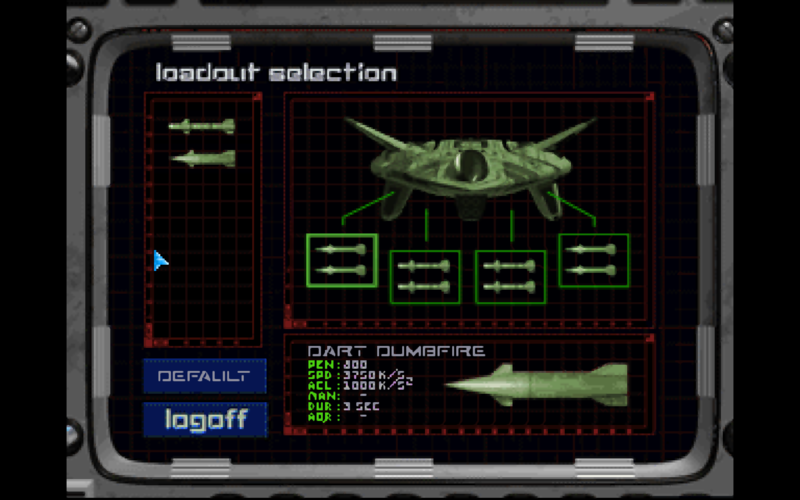 Even though it does not feature a direct linear story like later games, Wing Commander I has a fairly well established timeline. 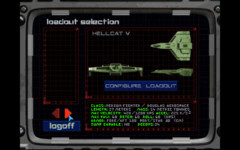 With the additional context of the UCG, Claw Marks and other sources, the 40 missions exist relative to one another in a fairly established story that happens at a specific time. Here again, later sources have provided disruption. 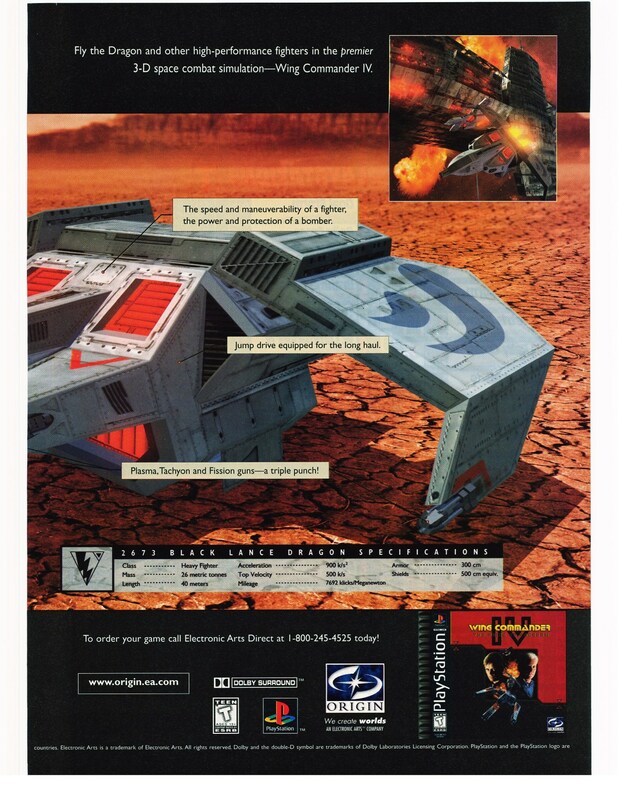 Especially: the movie novel Pilgrim Stars, which puts Blair and company in captivity aboard a Pilgrim supercruiser for weeks in the middle of the game. 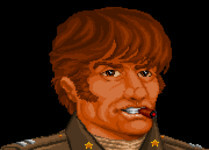 That’s okay, we can now state, because Carl LaFong was still flying off the Tiger’s Claw and fighting the Vega Campaign at that time! Let us continue by walking through a list of the ‘other Blairs’ that have appeared over time. Is there any other evidence that supports this theory? Later sources consider Blair, Armstrong and LaFong separate (but similar) characters. The review blurb for Maniac’s book in Star*Soldier mentions all three in the same breath. Wing Commander Academy was intended to reboot Wing Commander I and replace Blair’s story with a new telling of Secret Missions 2. 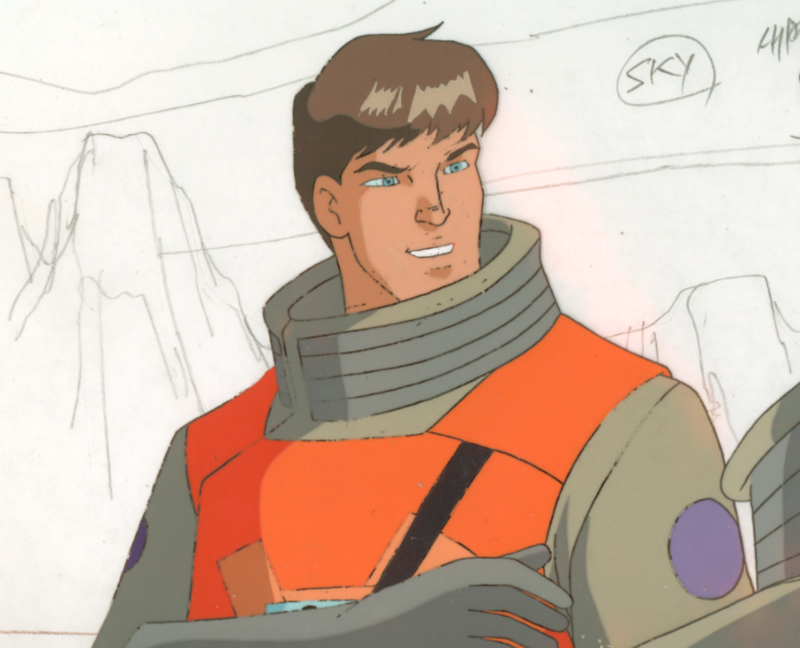 Note the redesign of the character to look like Mark Hamill (while Maniac stays similar.) The original pitch was also explicitly set in 2655 and involved the Firekkan crisis. Carl LaFong isn’t dead. His book is written in the 2700s long after the Kilrathi War has ended.. and long after Blair seemingly died in the Nephilim wormhole! Origin continued to assign the WC1 story to other character (Armstrong) AFTER Wing Commander III was developed and Blair was established to be the name of the player. 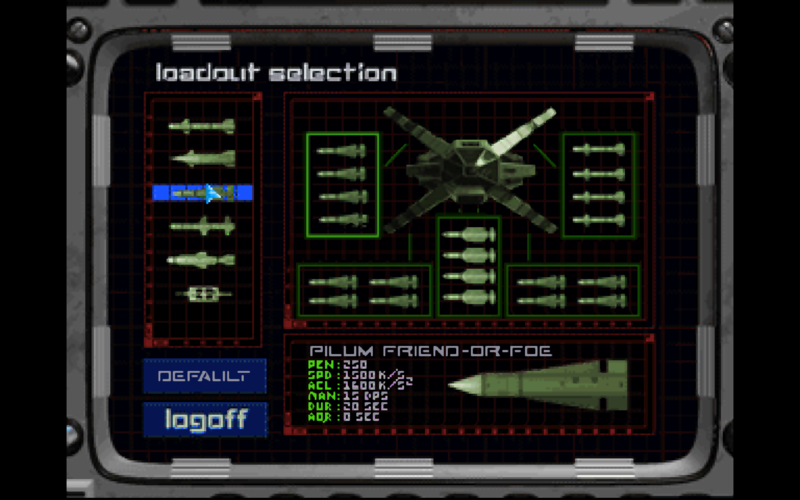 Wing Commander Prophecy introduces a new player character to the ‘main’ series of games, suggesting that there does not need to be ‘one’ character from game to game. 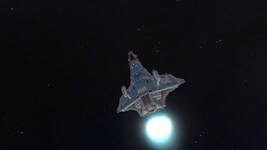 Existing published Wing Commander timelines explicitly avoid mentioning Blair in their entries for the Vega Campaign. The final full biography of Blair, published in the Wing Commander Prophecy guide DOES NOT MENTION the destruction of the Sivar, the victory at Venice or Firekka. 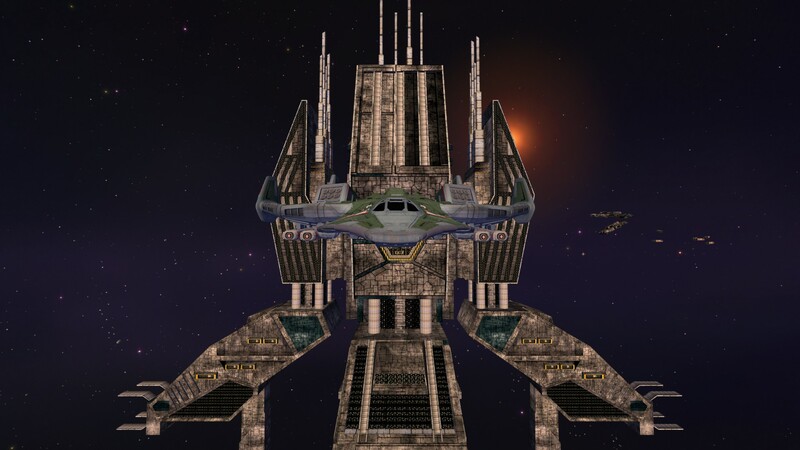 Later sources are entirely consistent in NOT referencing the events of Wing Commander I in Blair’s history, only that he was on the Tiger’s Claw. 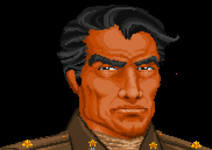 … Blair’s appearance in Wing Commander II. 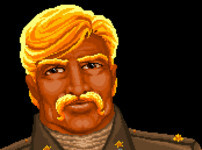 He looks like an older version of the Wing Commander I character, right? WRONG! The first scenes of Wing Commander II take place in 2656… and when Blair faces Tolwyn in his office, he looks just like he does a decade later! 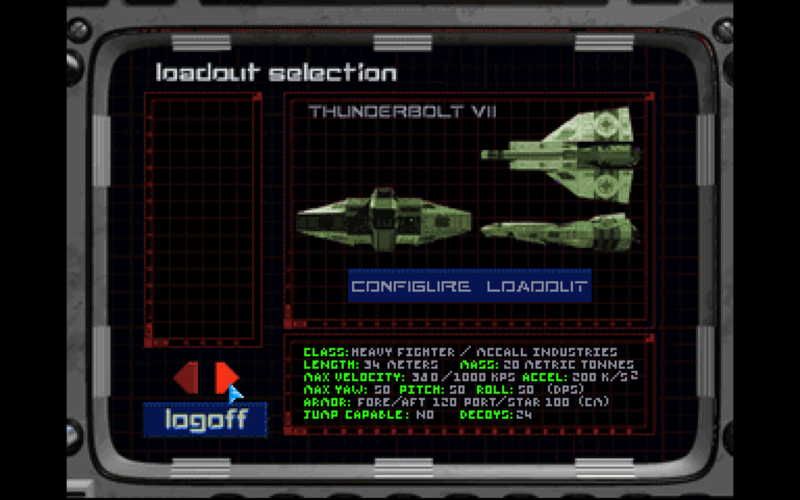 … the Wing Commander II section of the Ultimate Strategy Guide. 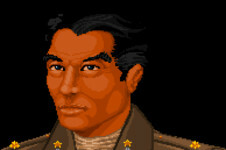 We propose that the ‘Wing Commander II’ section is BLAIR’s autobiography rather than saying that LaFong was also a traitor who had a relationship with Angel. 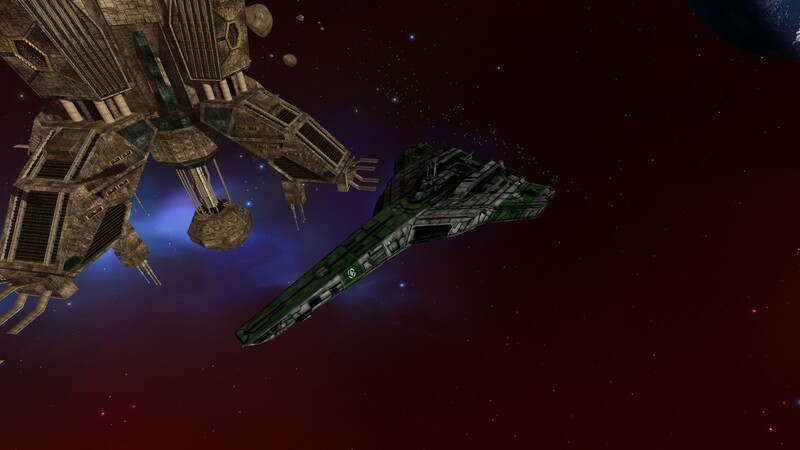 (Later material does establish pretty clearly that Blair IS the character in WC2; his treason is referenced constantly in novels and later stories… his victory in the Vega Campaign is not.) 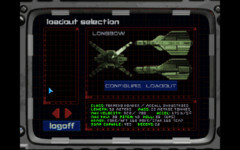 Supporting this idea is the coincidence that the Wing Commander 2 section is written very differently, the name LaFong is never mentioned and he is only called “Prankster” twice by a drugged Maniac! 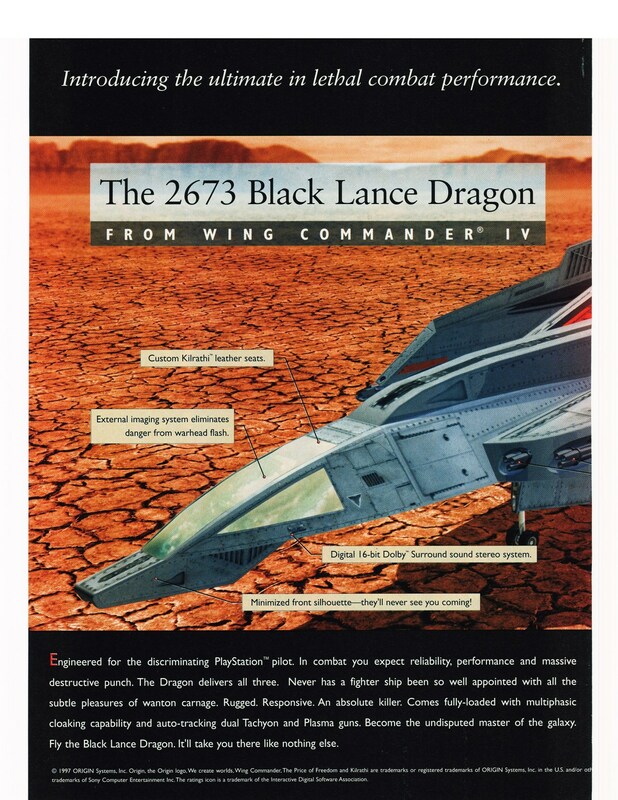 The introduction to the Wing Commander I & II Guide is still problematic as it features one paragraph in which LaFong mentions being blamed for the Tiger’s Claw’s destruction. It can be worked around, but it should be noted as it does suggest an intent counter to this retcon. 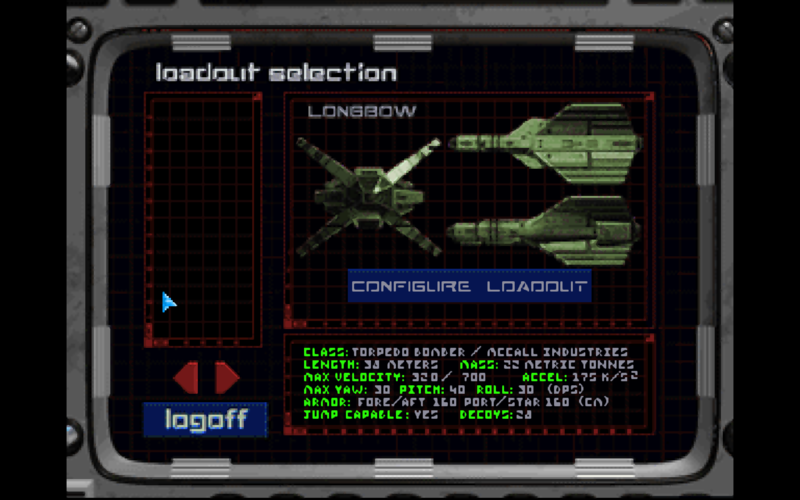 The Kilrathi Saga names - Kilrathi Saga ‘slugs’ in Blair and Maverick as the high score options in its update of Wing Commander I. You have to delete them to set your own name, if you so desire. This seems like a minor issue, since it isn’t locked down in any way. Now, my beloved countrymen, the decision falls to you. Carl LaFong’s achievements have been wrongfully supplanted and ignored by history. It’s time to make this right, once and for all. 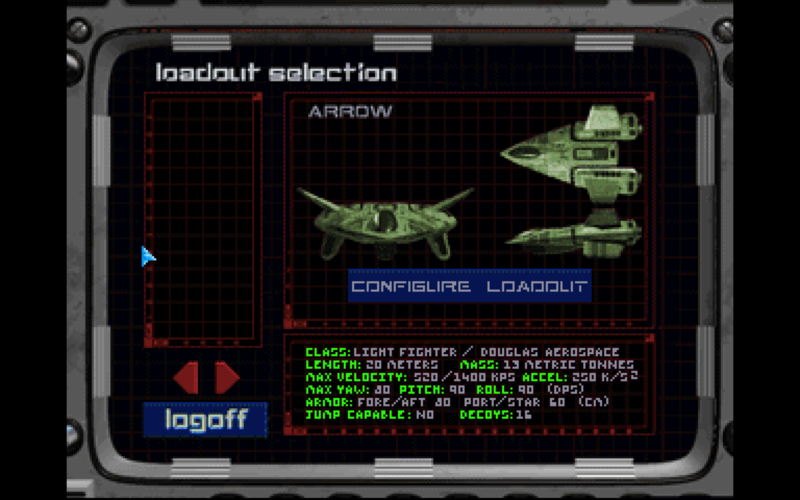 Please vote in today’s poll and decide the fate of who we consider the protagonist of Wing Commander I. LaFong vs. Blair, the ultimate showdown. 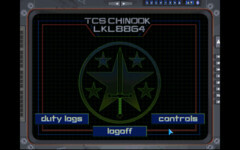 It is time to decide whether or not the Wing Commander Combat Information Center triggers BLAIRXIT.